Large banking systems are incredibly dated, often as a result of a series of mergers between banks, leading to a patchwork of different systems & technologies. As a result, the pace of innovation in the banking industry has slowed to a crawl. At Mondo we are building a new kind of bank, a smart bank that belongs in the 21st century, and we’re building it almost entirely in Go. 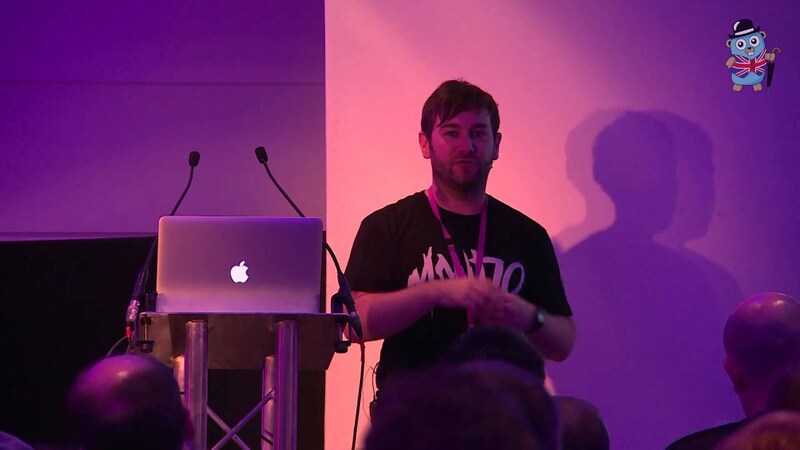 This talk will cover how we are developing new core banking systems from scratch backed by a microservice based platform written in Go, running across multiple data centres using tools including Docker and Mesos. 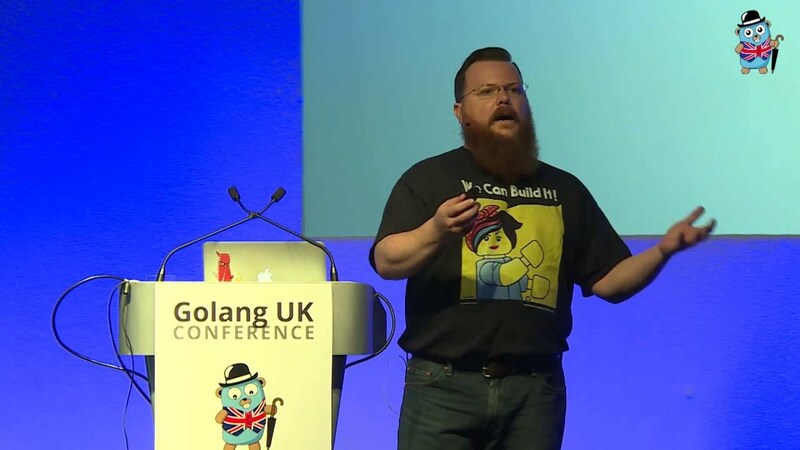 We also look at why Go is perfectly suited to this, our architectural decisions, common pitfalls to avoid, and lessons learnt when developing high volume, low latency, distributed Go applications. 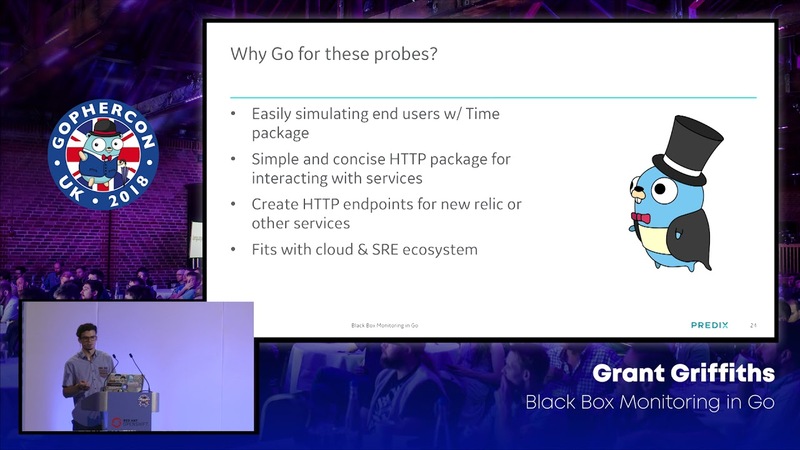 Go is great for quickly putting together APIs addressing all kinds of problems, from simple data persistence or composing external services, to exposing complicated business logic that makes up you the heart of your product or service. 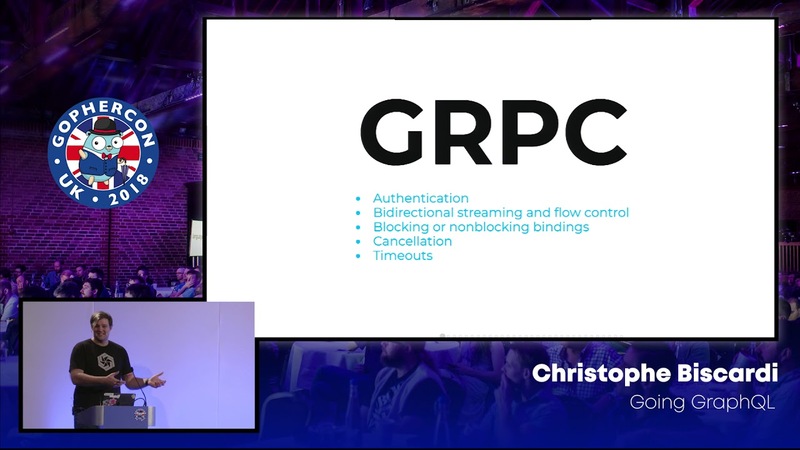 What’s different about Go is that these “knocked-up” services are, if built correctly, ready to deploy, scale, and live out in the wild. 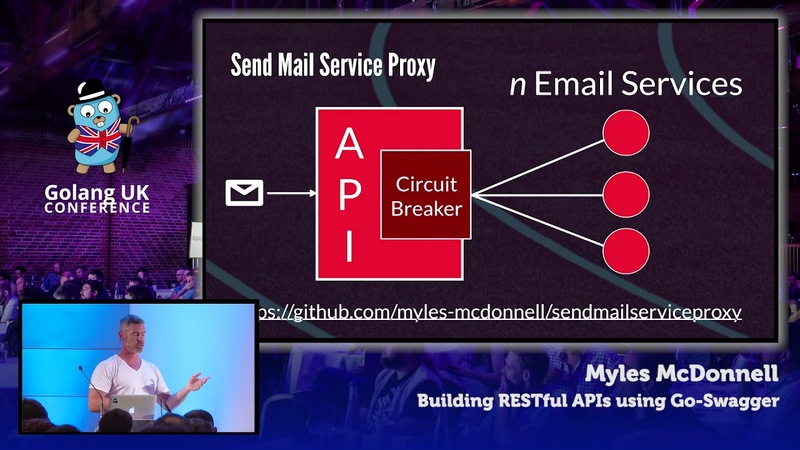 This talk would deep dive on the simple http.Handler and http.HandlerFunc types and how they can be used along with some cool techniques to solve a myriad of real world problems. 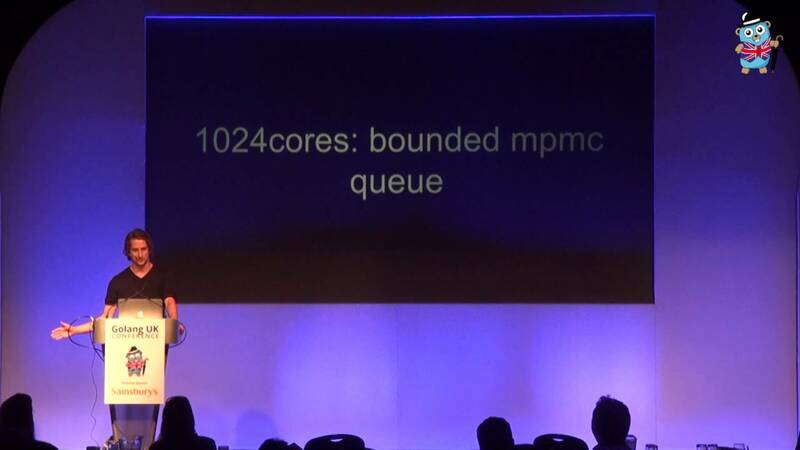 There is a lot of power available through Go’s concurrency primitives, but they are still just that: primitives. Typical examples of channel and goroutine usage show pipelines and worker pools, but real applications are rarely that simple. Production systems can easily end up with hundreds of goroutines running dozens of interdependent functions; reasoning about the resulting interactions is not easy. 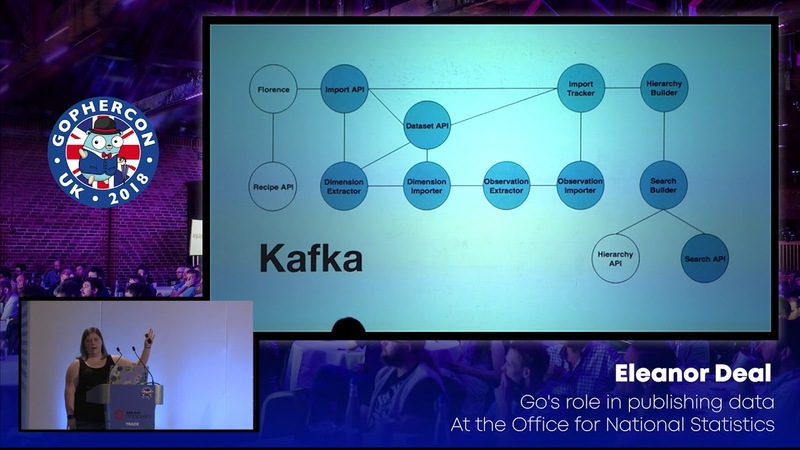 Shopify’s Sarama library is an open-source fat client for LinkedIn’s Kafka project. 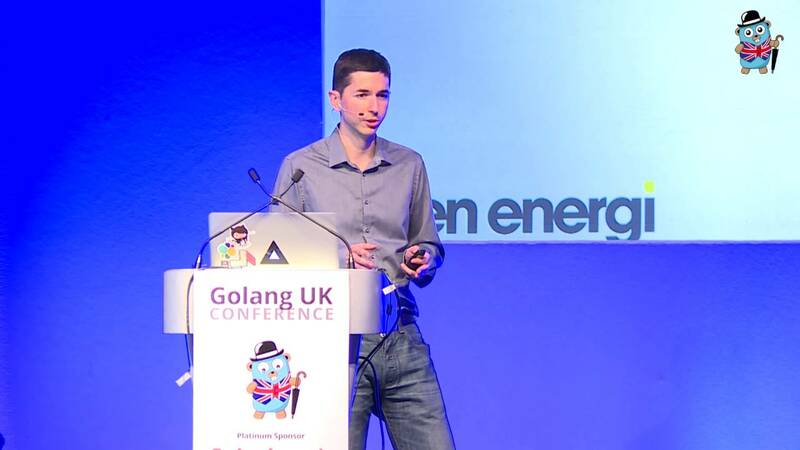 It is heavily concurrent, making use of Go’s concurrency primitives to build several complex patterns, including fanout-and-shuffle among others. This talk will cover some of the patterns used in Sarama, including the challenges faced, problems overcome, and trade-offs made. Sarama has been running in production for nearly a year and a half across Shopify’s infrastructure, processing hundreds of millions of messages per day. What makes millions of developers choose a particular programming language? Is it the community? Is it the features? Is it the platform compatibilities? Maybe it’s just all the hype, or it might be because we really believe it’s the best language that ever existed? Every technology follows a well defined adoption life cycle. Where is Go in that adoption curve? 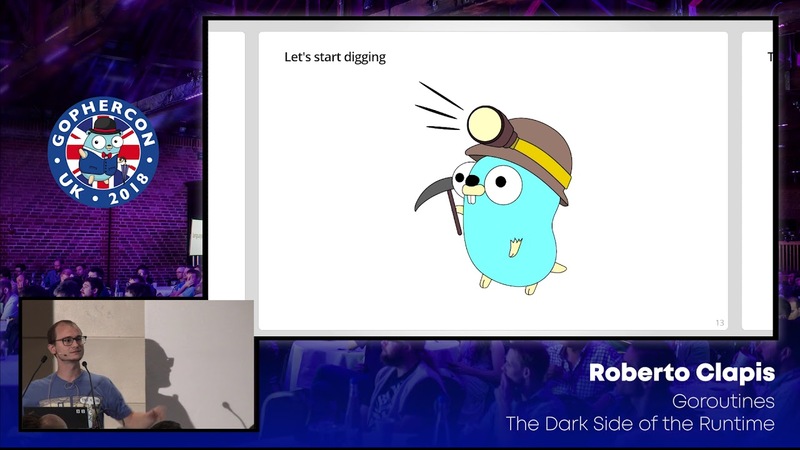 Let’s talk about what we can do as a community to help Go cross the language chasm, how the community can help define and adopt Go’s future tools to attract and inspire the next generation of Gophers. The “go get” tool is brilliant but the tool is also its own worse enemy. It is a major reason for the problems we have with dependency management. There is no clean way to fix the dependency problem and keep “go get”. I believe solutions that wish to add or track a commit id or tag for the import url would actually create an even worse situation than we already have today. It is error prone and does not fix the inherent problem, a project needs to own and control its own consistent version of each dependency. Many agree that vendoring is the right solution, but how to vendor is the question. 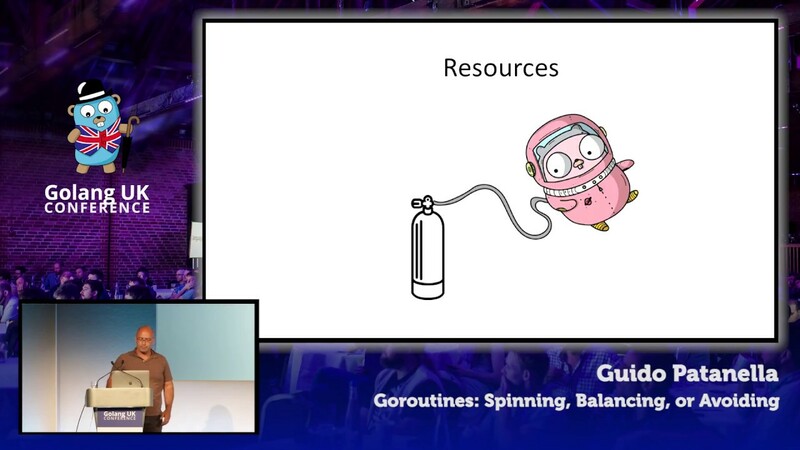 In this talk, I will show how vendoring is simplified and a consistent reproducible build is possible once you abandon “go get”. 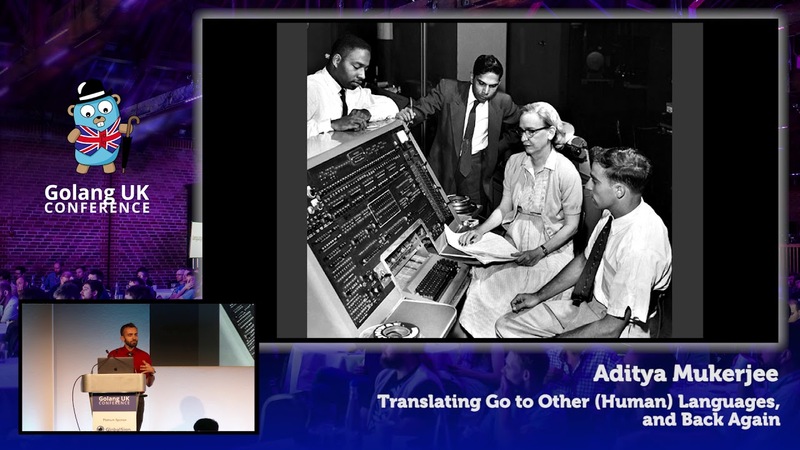 Go is the language of the server, but it’s not yet reached a critical mass in the modern enterprise. 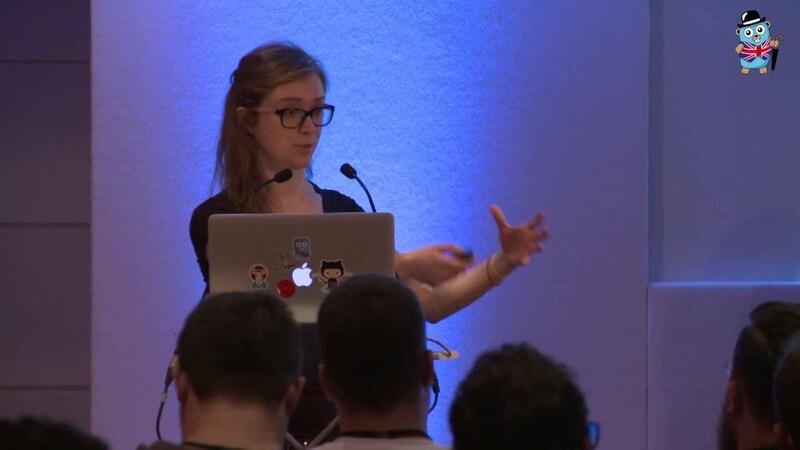 This talk describes Go kit, a toolkit for microservices in larger tech organizations. Learn about the motivation for its existence, how it’s progressed so far, its architectural philosophy of declarative composition, and the ways in which it’s opinionated. In the end, we’ll build an example service, utilizing each of the Go kit components. 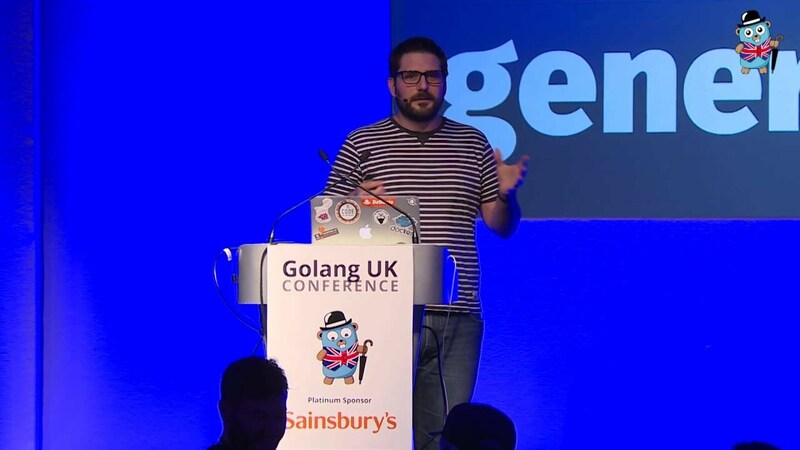 Go is a simple language with a very small grammar, which makes building tools for the language quite enjoyable. 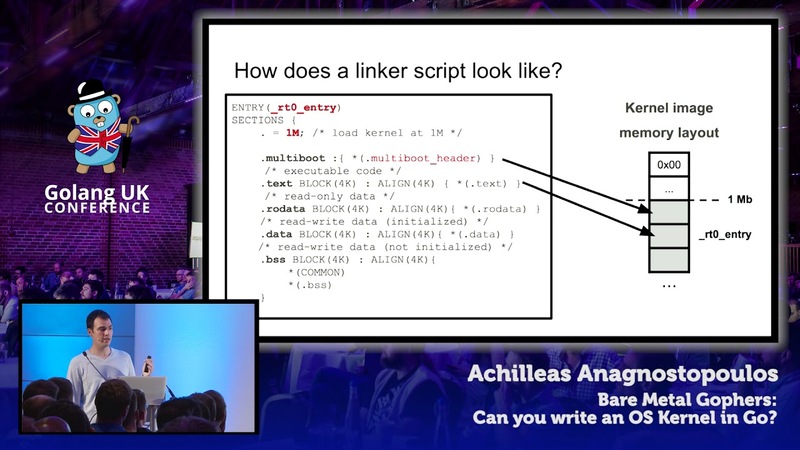 This talk covers different techniques that you can use to analyze a given program without having to read a single line of code. From tools to measure the quality and complexity of a program to ones that pinpoint bugs and performance issues. We will discuss the limits of what static analysis can understand and how dynamic analysis techniques can help us breach the gap between theory and usability. They say you can’t teach an old dog new tricks, but what about a gopher? 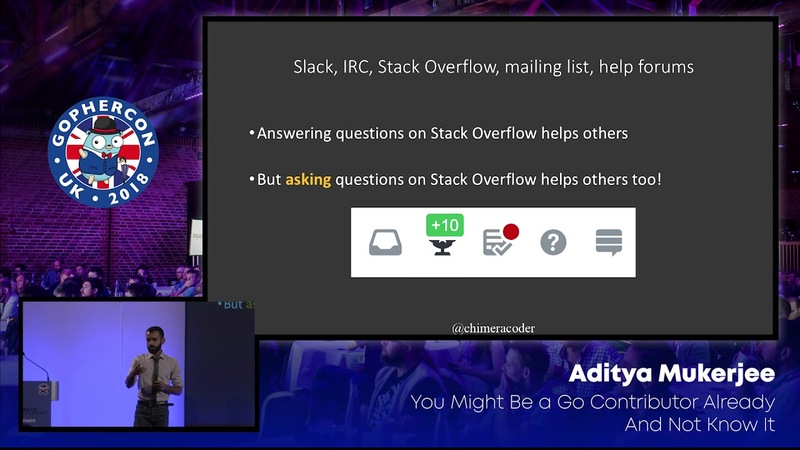 In this talk we’ll investigate a bunch of odd corners of the language, libraries, and tools that even seasoned Go programmers might not know. We often think of “The Go Community” as a single entity. 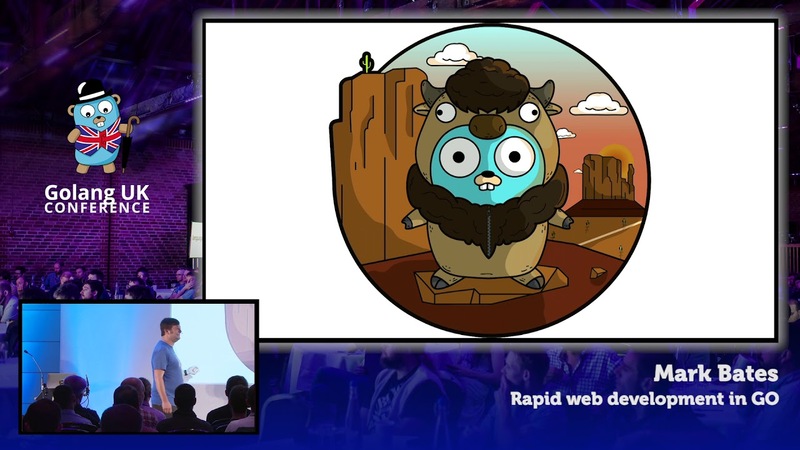 But different species of Gopher interact in different ways: Email, IRC, Twitter, in person, or perhaps not at all. How do we maintain the underlying “gopherness” (if any) as these communities grow? How do we keep these groups communities that we (and others) want to be a part of going forward? And why bother worrying about community anyway? This talk will present my view of these communities, how my own involvement has changed and grown over time, reflect on some of the growing pains I’ve seen, and present ideas for encouraging a positive Gopher environment. Go’s clean syntax and built in garbage collection make it a breeze to write programs quickly. But as you go further down the rabbit hole, understanding your program’s memory consumption and behaviours becomes important. 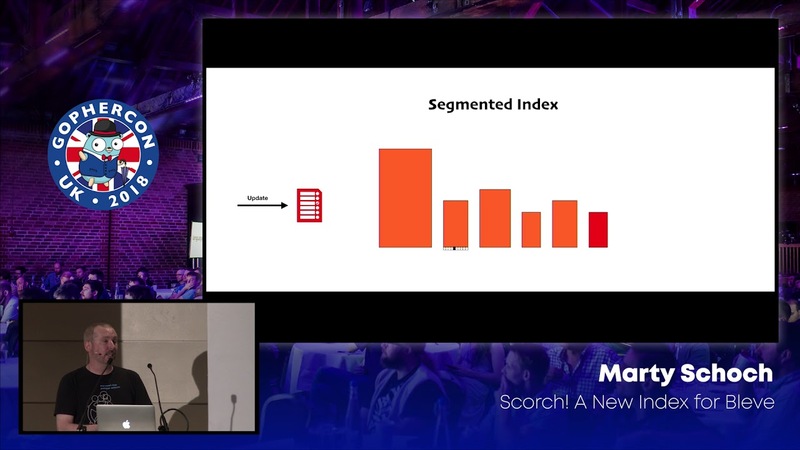 In this talk I will explain the difference between using values and references (pointers) and explain the usage of make and built-in datatypes (like slices and maps). Along the way, I will present a few common mistakes, and give a few tips on how to avoid them. 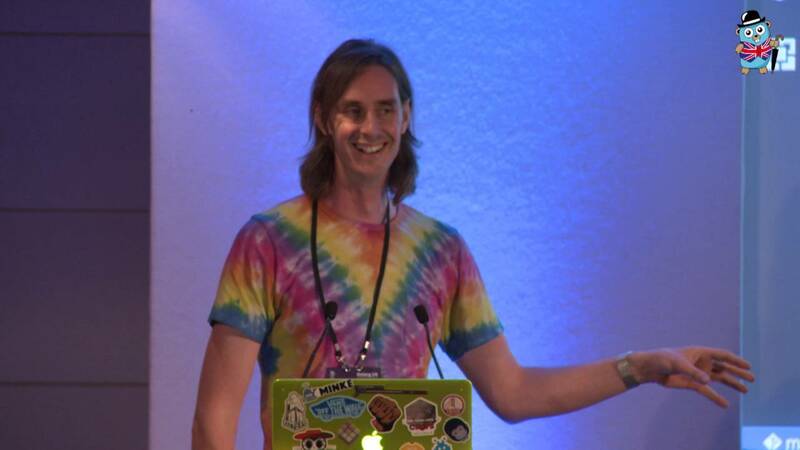 A fun mashup of networking, file IO and cryptography using Go’s standard package library. 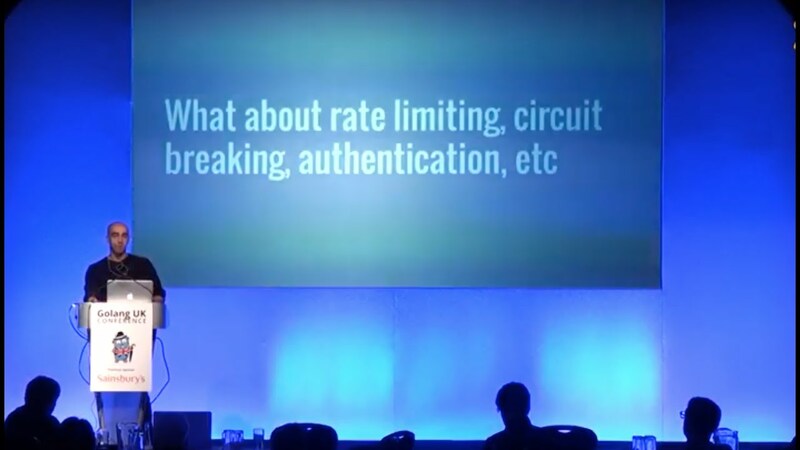 There’ll be cipher streams for files and TCP connections, hybrid encryption between web services using AES and RSA, and HMAC signatures for tamper-proofing. All backed up with working code. 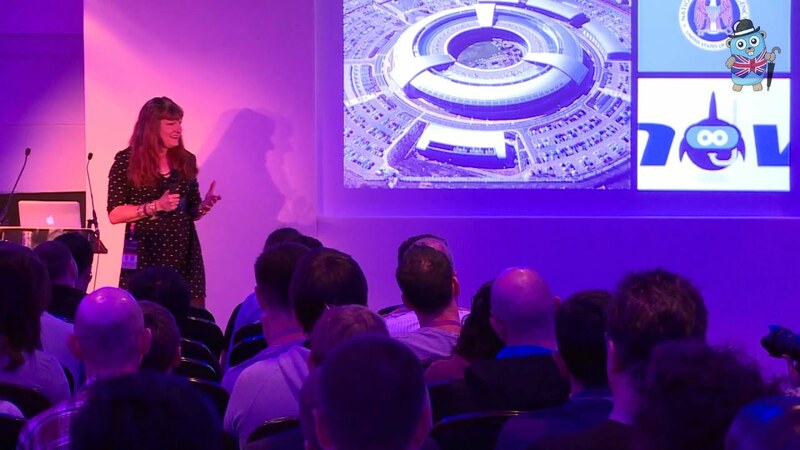 Aside from the technical content we’ll explore the benefits of putting security at the heart of application design, knowing as little as necessary about our users to service their needs without compromising their privacy. The context package offers some great features that any go programmer can take advantage of to build great apps. However, it can be a little tricky when you first pick it up to understand the ins and outs of how to use it and when to use it. 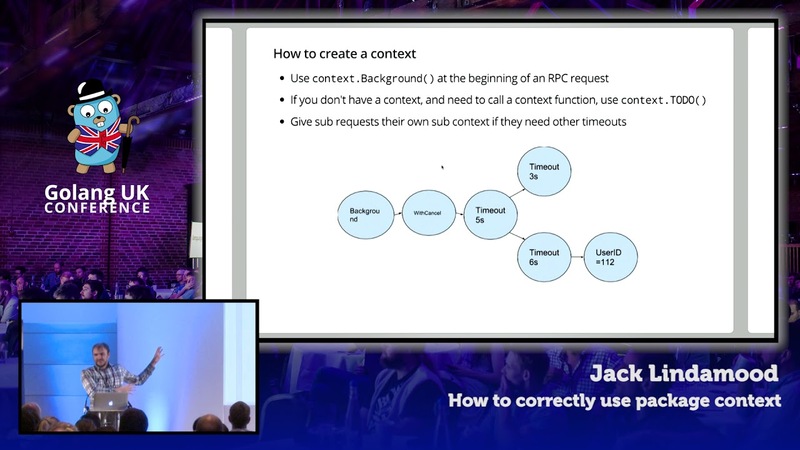 This talk was one simple goal, to show how the to use the context package in your programs. We’ll walk through the context package and how we can use it to make our go programs simpler and easier to manage. We’ll look at examples and real code using context to demonstrate the everyday use cases that we may encounter and how to support them. With Go, developers use many different setups, one of the most common being editors in combination with command line tools. So one might question how using this setup differs from an IDE. What benefits does the latter provide? We’re going to share the journey of us having written a Go IDE based on IntelliJ Platform. We’ll see how IntelliJ provides the infrastructure for building static analysis engines. Inspections, with their quick fixes, “Find Usages” of symbols, refactorings and navigation are made possible when the code being analysed. We’ll see some of these benefits and the challenges confronted in the process. io.Reader, io.Writer, and io.ReadWriter are some of the most powerful, yet surprisingly subtle, tools in the Go standard library. 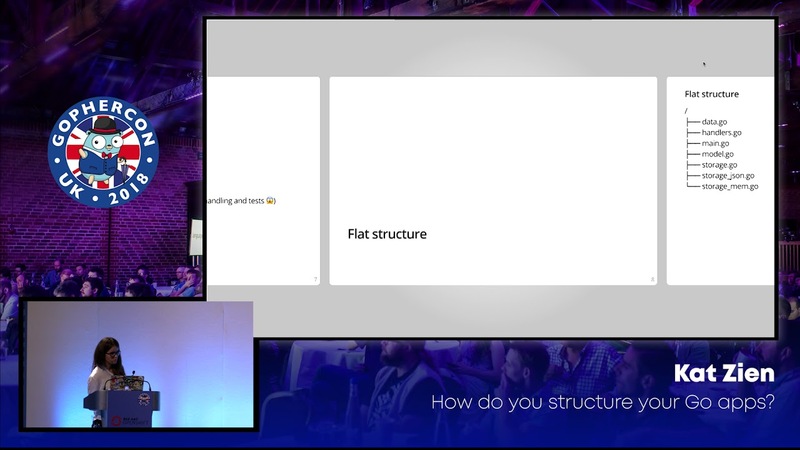 In this talk, we’ll explore two concrete examples leveraging these building blocks to construct expressive and performant abstractions. We’ll also cover details of package bufio, the LimitReader, and other techniques to rain kittens on our code and dial it up to 11. 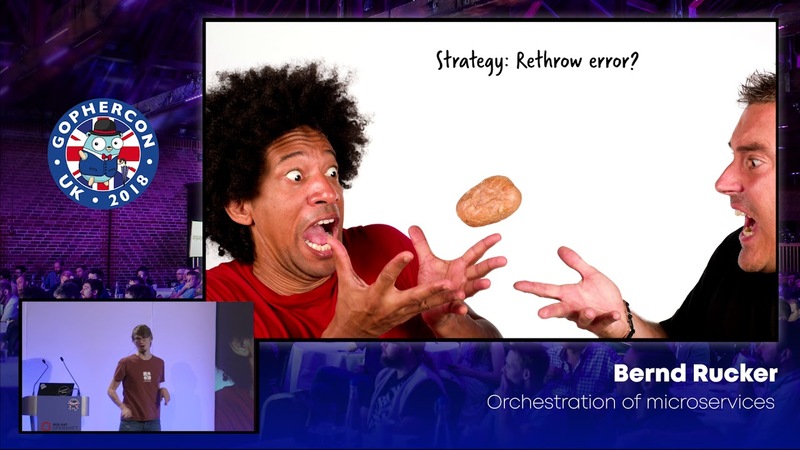 Ladies and gentlemen, don’t miss this public bludgeoning of the microservices horse for its sweet hypeglue! 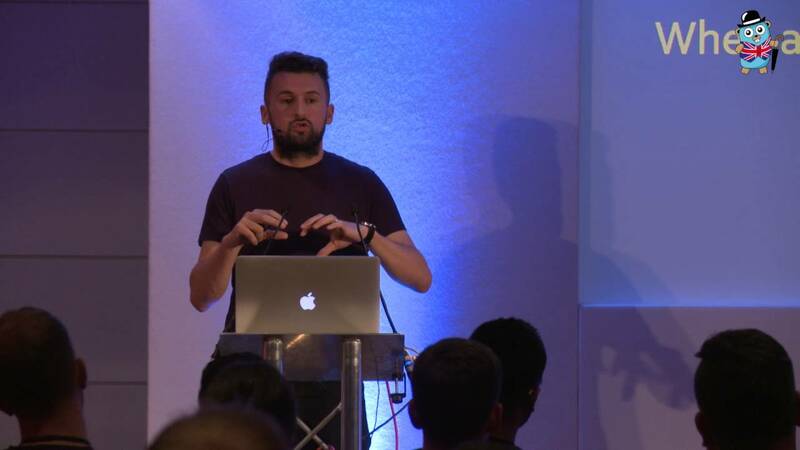 We will survey the complex and often contradictory landscape of microservices, explain the numerous and byzantine ways that they will ruin your day, and propose partial and underspecified solutions with Go kit, a toolkit for microservices in Go. 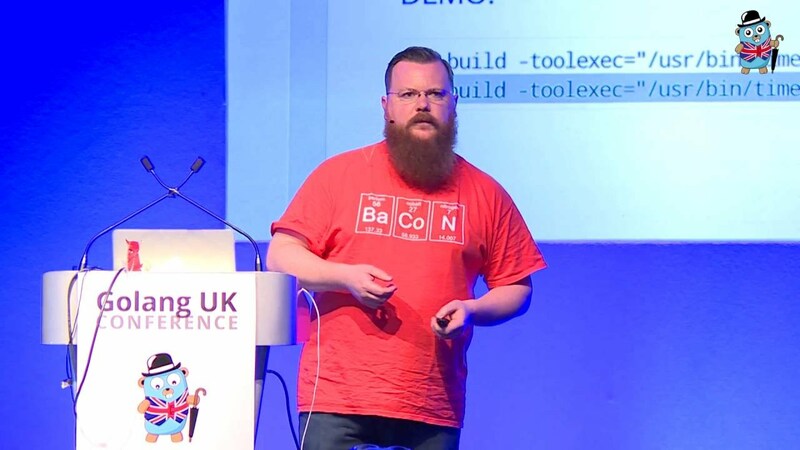 Attendees will observe the practical application of SOLID software engineering principles, and may become sufficiently jaded to seriously consider a career change. I hear carpentry is meditative. What is the connection between go-mobile, GOMAXPROCS and app development for developing countries? App development for developing countries introduces a a different mindset and a slew of new challenges: smartphones function as a user’s main point of connection, local demand for use of mobile apps and web is different and infrastructure places strict limits on users’ internet data volume. Combining the processing power of the average multi-core smartphone with go-mobile can reduce the data consumption of apps. 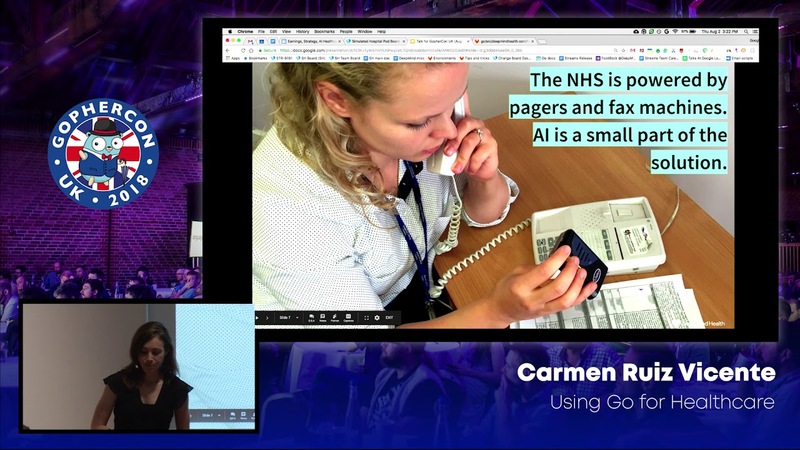 In this talk we’ll discuss how the mobile world looks like in developing countries: what apps are like, what are the common devices and and what are the current initiatives to increase internet connectivity. We’ll then see how efficiently can data be compress in the device and how this may make apps more practical and accessible for the developing world. Continuous integration/deployment is a methodology for making small, iterative changes that get deployed frequently. Many companies have reservations about adopting this strategy, from small startups with important deadlines to large enterprises with lengthy release cycles. We’ll explore the cost and value of the CI/CD methodology and how it fits into your organization, then set up a CI/CD pipeline using a simple Go app, Cloudfoundry, and a CI/CD server to see it in action. 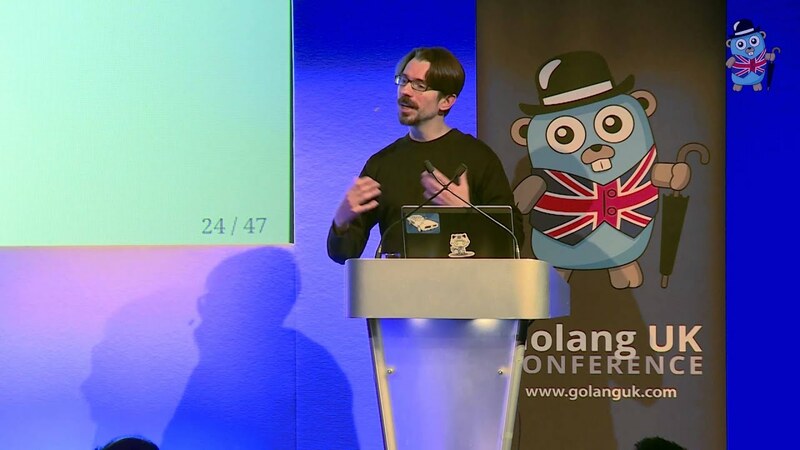 Go has been widely successful for creating tools and infrastructure, but the simplicity of the language also makes for an excellent fit for implementing core business applications. We will look at a few patterns for domain objects and code organization and hopefully we’ll take some additional steps towards Go in the modern enterprise. 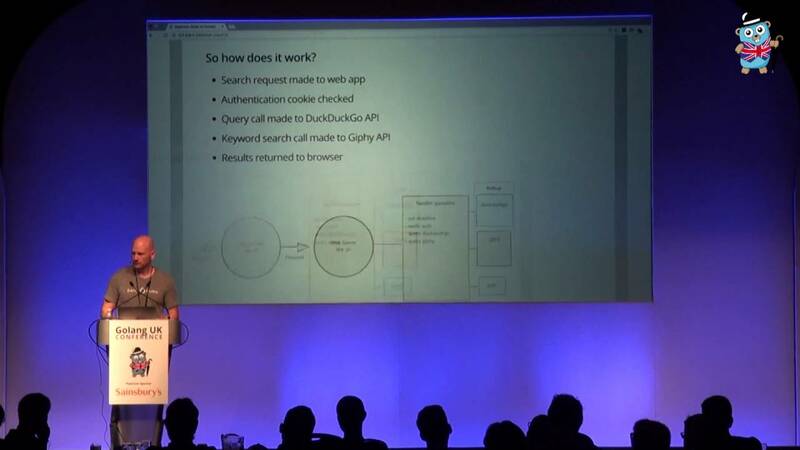 During this talk we will look at a sample application that demonstrates how a core domain could be implemented in Go. 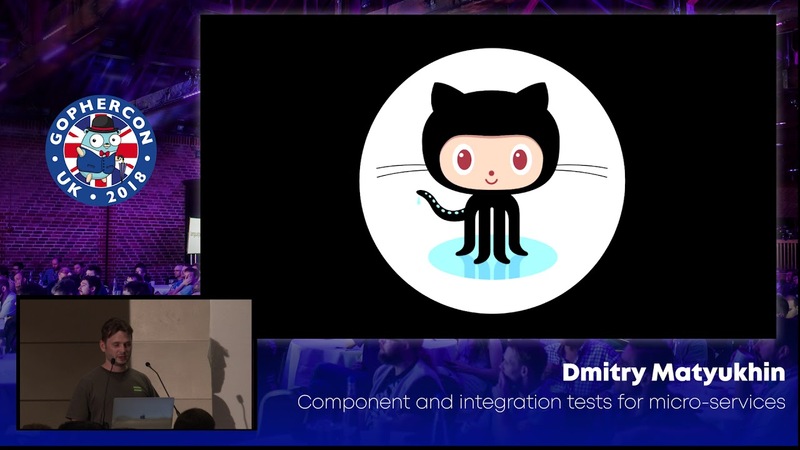 Hopefully, it will serve as leverage and inspiration for developers that want to write their next enterprise service in Go rather than using the traditional Java stack. 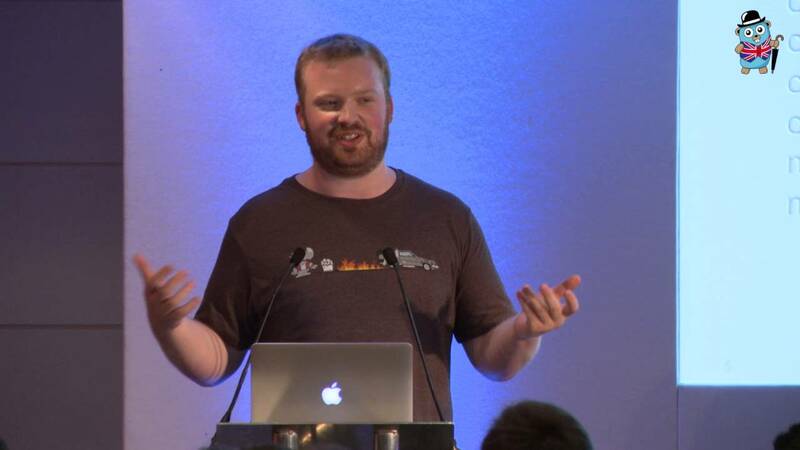 Building Mobile SDKs for iOS and Android - Ain’t nobody got time for that! 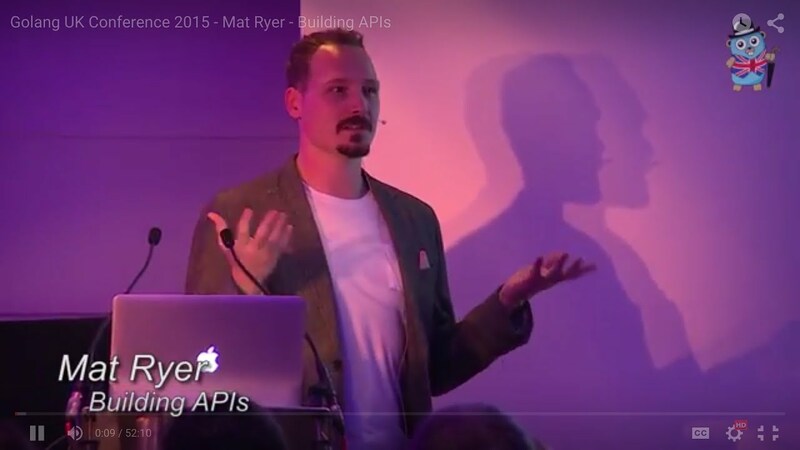 You have built your shiny backend API for your Kitten as a Service platform and whilst you’ve tried to keep the API contract small and succinct the the uptake has been no where near as fast as you wanted, mobile developers are not integrating your API into their apps. The key problem is that pretty much everyone is lazy, I am and so are you, admit it. 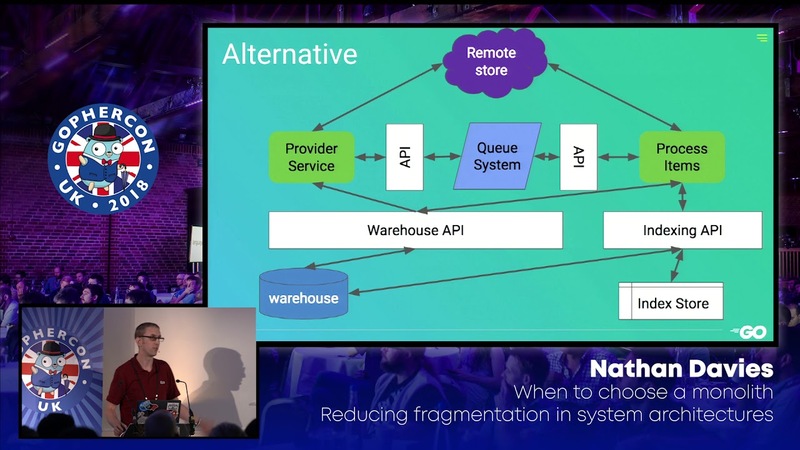 We want to concentrate our time writing application features not writing scaffold and integration code, as an API provider this is why you need an easy to use SDK for others to consume. 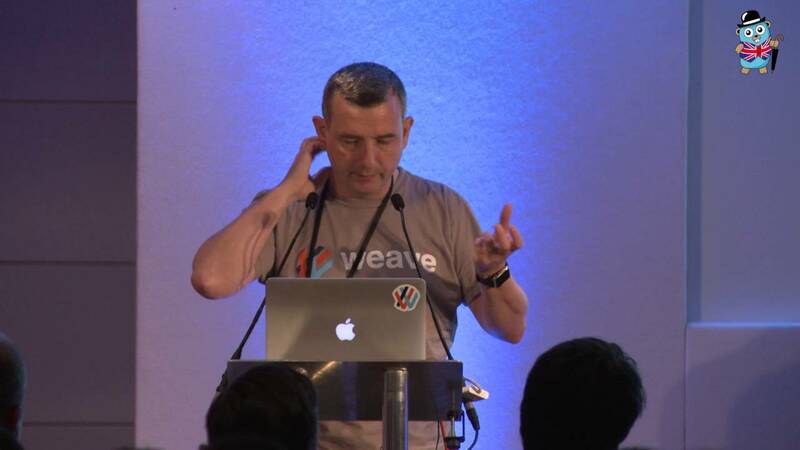 In this talk I will run through such an example and will show you step by step just how easy it is to leverage the power of Go to create native performing SDKs for both iOS and Android. Of course this is but a small part of what you can achieve with GoMobile but the techniques you will learn in this session will equip you to take things to the next level. 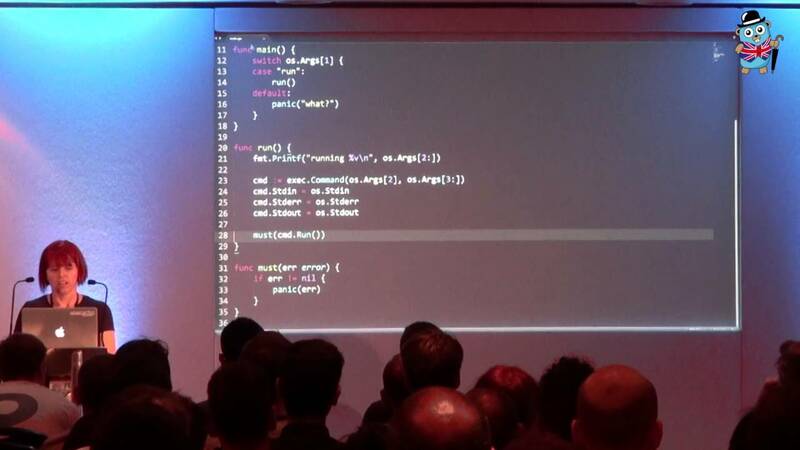 Writing functions using Go’s assembler can be tricky. Used judiciously however a little sprinkling of assembly can seriously improve the performance of your program on modern hardware. This tutorial will show you how to write Go functions in assembly: covering the basics such as syntax, function arguments and stack management. 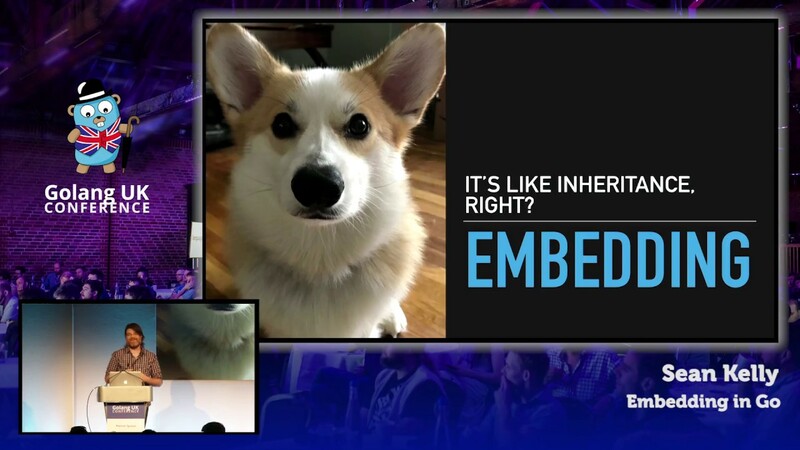 We will also touch on the effects of adding assembly on portability and testing. 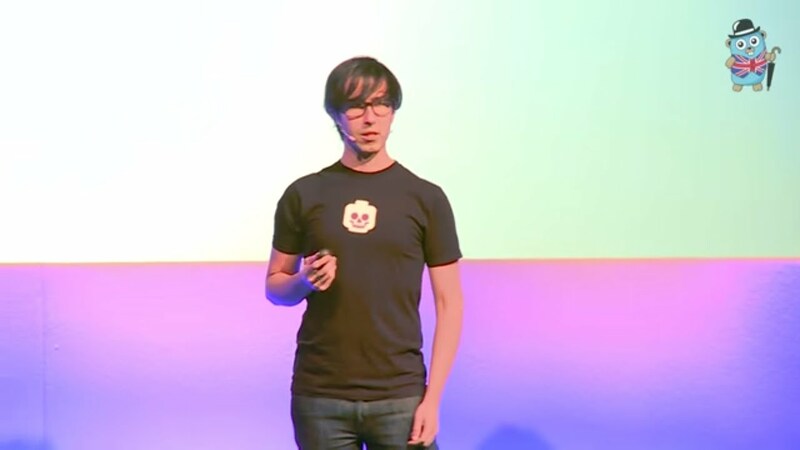 You finished working on your new Go project and now you’d like to share it with the world. Now what? 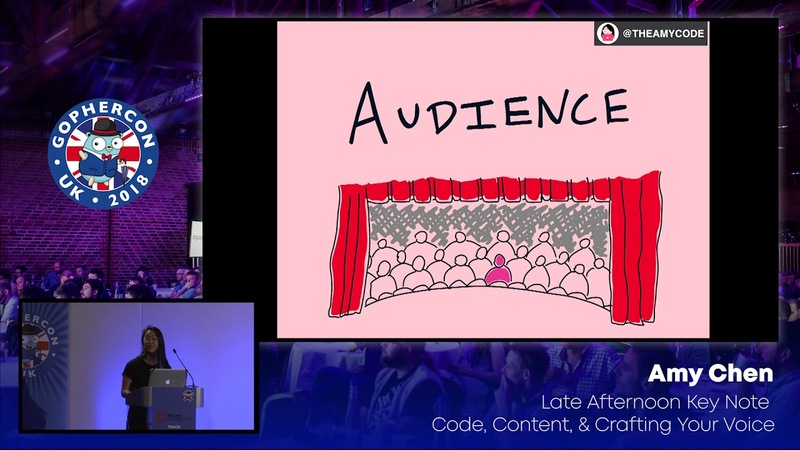 This talk aims to highlight what are the choices and points to look after when you plan to run your app in production. 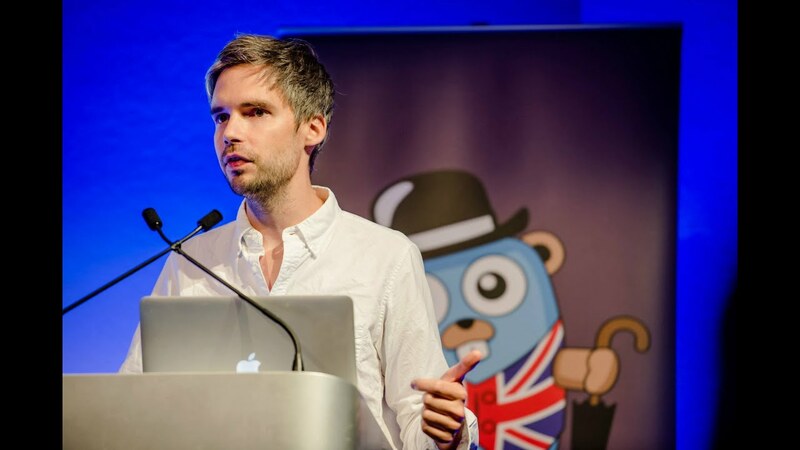 The Go community is fairly homogeneous and missing out on what a more diverse community can accomplish. More diversity can have a greater impact on our community’s ability to be more innovative and creative, and to find solutions to problems we don’t even know we have yet. With this in mind, GoBridge was created to focus on initiatives that provide safe and accessible environments for a variety of people to learn from each other. 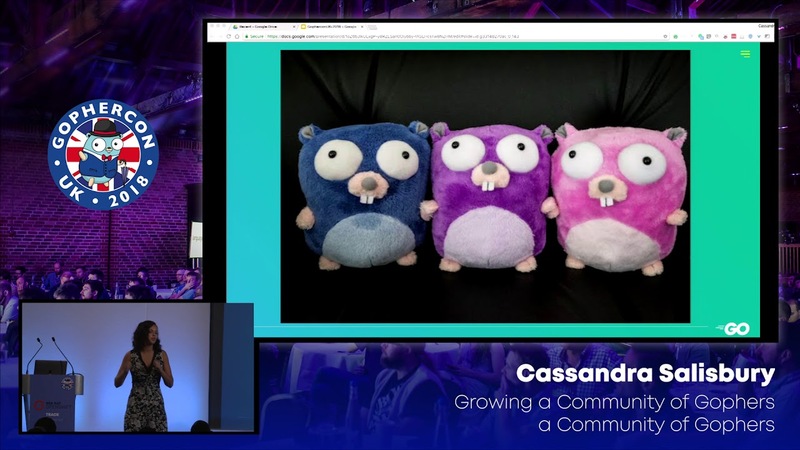 In this talk I will share the different initiatives GoBridge volunteers are working on to increase adoption of Go and diversity in our community, and suggest super simple ways to contribute. 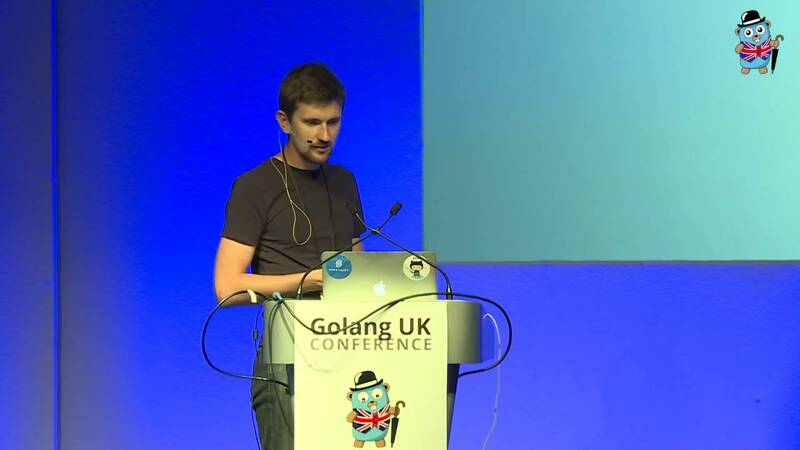 Go plays a major role in modern distributed systems. 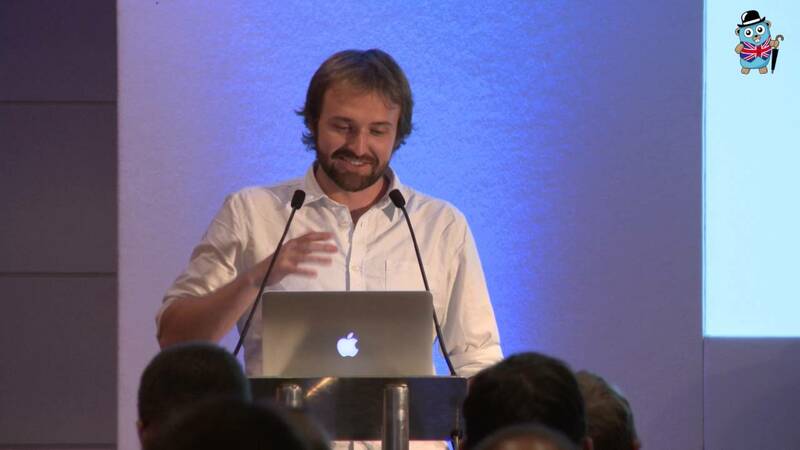 It is a great choice to implement microservices, as exemplified by the popular Go kit. Even more convincing is the dominance of Go in the orchestration layer: Kubernetes, etcd, and Weave’s Flux are just a few well-known examples. Monitoring large-scale distributed systems including the underlying infrastructure poses an entirely new challenge. Prometheus was designed to meet that challenge. Unsurprisingly, it is written in Go, and it is not by coincidence that all examples given above feature some kind of Prometheus integration. 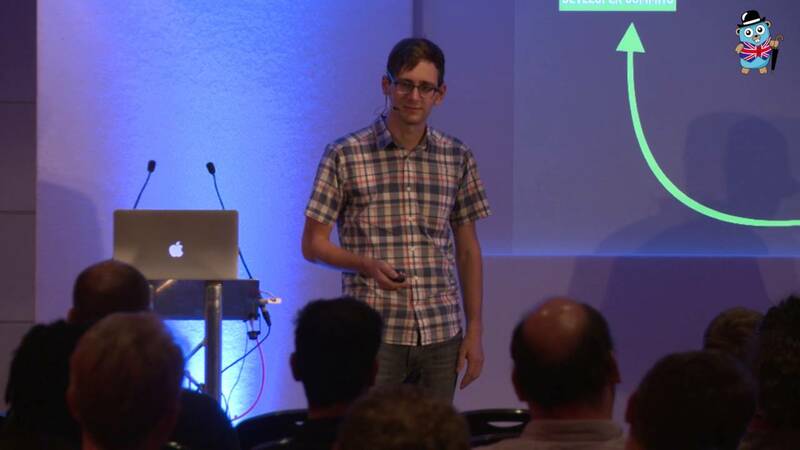 How can you, as a Go developer, integrate your own software? 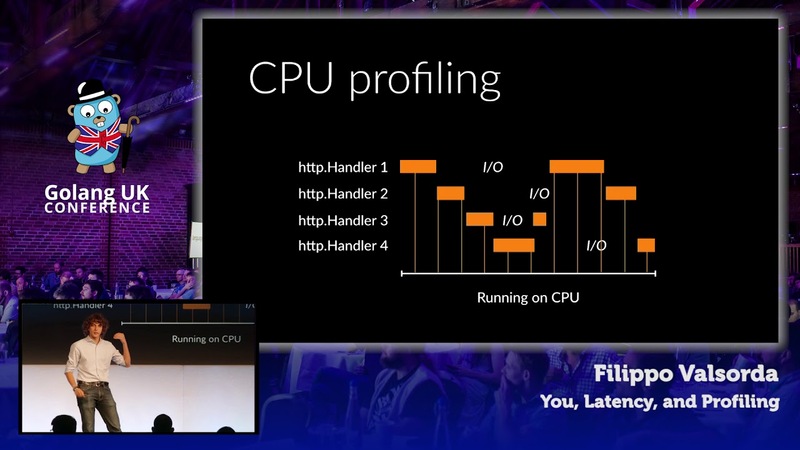 This talk will show you how to use the Prometheus client library for instrumenting your own code to expose Prometheus metrics and for writing small adapter applications to export metrics from 3rd-party systems. You will learn to identify and implement the metrics that are needed to enable meaningful service monitoring and alerting. As an electrical engineer, both in college and at Intel, my exposure to software development was limited. I have been interested in software development, began learning on my own and then I got an opportunity to shift inside Intel. The team I joined was writing code in Go and I had a lot to learn quite quickly. For those who are new to Go and learning the language, having the right resources, especially early on, can make all the difference. Without knowing where to find them, a lot of time can be spent searching. I want to share what helped me accelerate my learning, which is not over, by the way, and never will be. 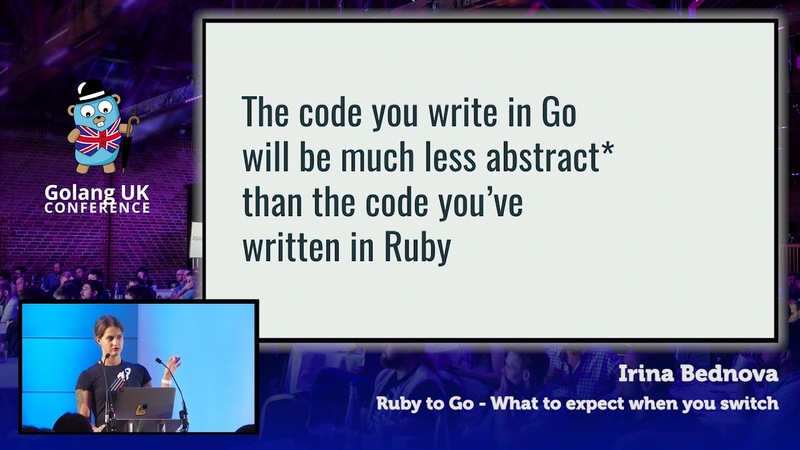 Using only the Go language, you can do some pretty powerful things. In my five years experience, I have picked up a selection of powerful, elegant, simple, and cool tips and tricks that make coding in Go even more fun. 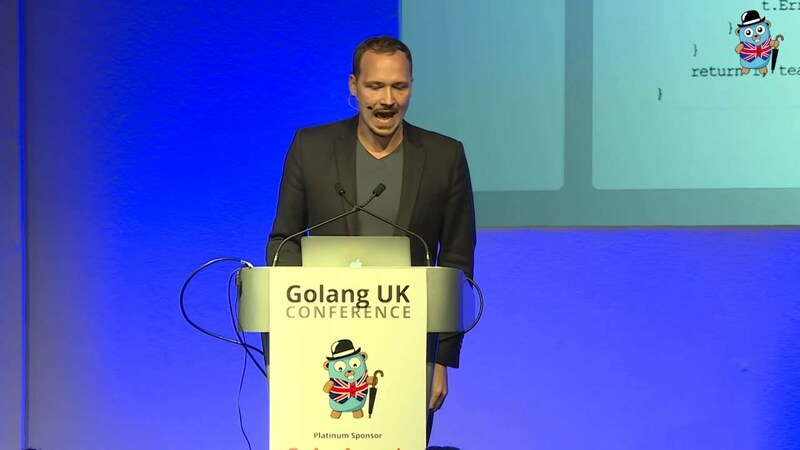 Go deliberately has no magic built into the language, but magic things happen when it is used correctly. This talk will cover some of my favourites. 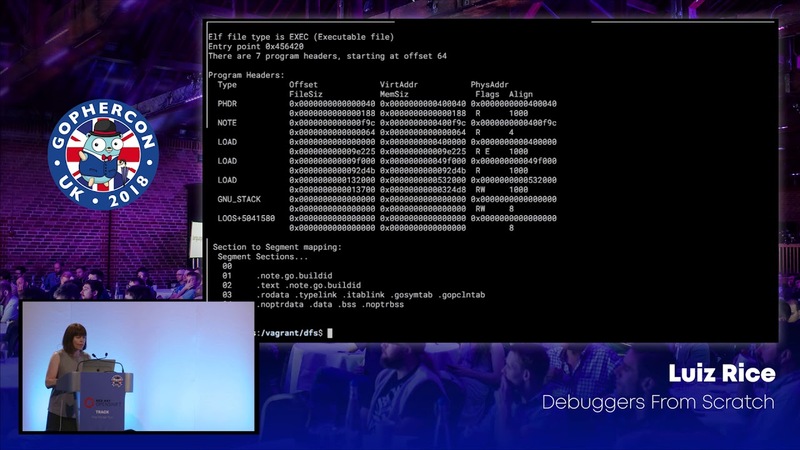 I’ve been interested in the design and implementation of virtual machines since encountering the source code for a simple Forth interpreter written in Basic when I was 15. It was a fascinating, inscrutable piece of magic which played a key role in my becoming a professional programmer. Most of us who’ve played games or worked in any one of a number of popular programming languages will have used virtual machines but unless we’ve taken a course in programming language design we probably have only a loose idea of what these are and how they work. In this workshop we’ll look at the various parts necessary to model a computer-like machine in code, borrowing ideas as we go from real-world hardware design. 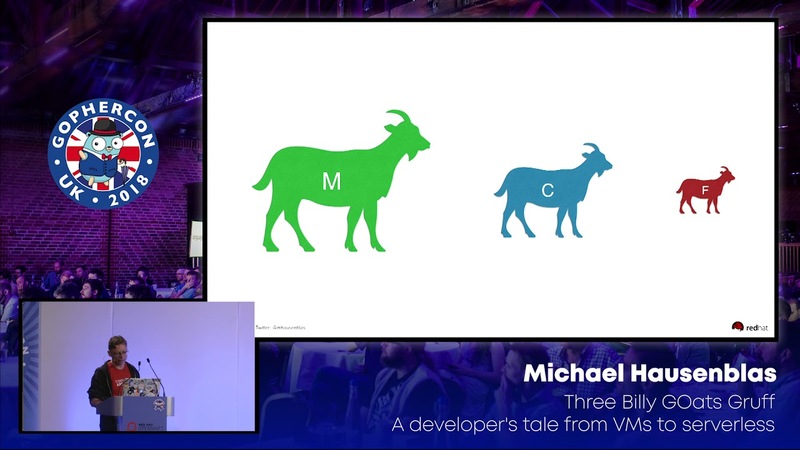 We’ll use a mixture of C and Go as our modelling languages: C is the lingua franca of the VM world whilst Go has excellent tooling and concurrency. We’ll also examine some of the benefits of phrasing software development problems in mechanistic terms. These include ease of composition, automation, security, testing, repeatability and reasoning about performance. You’ll need a laptop with Go and a recent version of Clang or GCC installed and a basic grasp of Go. Garbage-collected languages like Go usually don’t have the reputation of being particularly well-suited for real-time applications. As an online advertising company with a focus on the travel industry, we extensively use real-time bidding (RTB) to programmatically buy ad impression through automated auctions. In order to effectively take part in these auctions we have developed our own in-house bidder using Go. 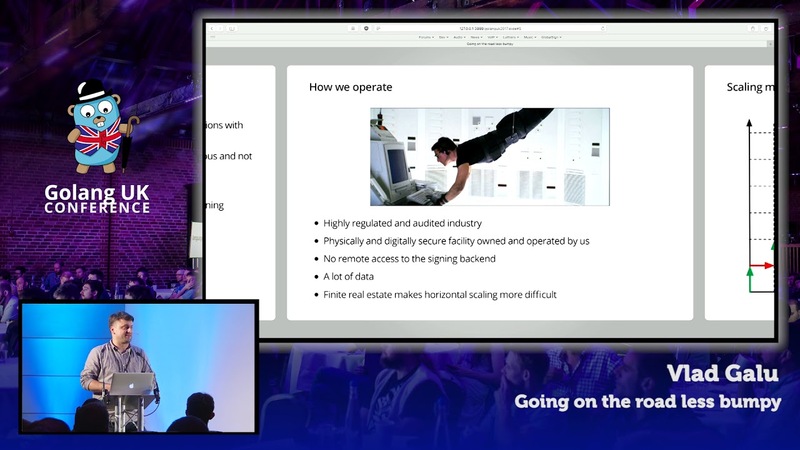 Building a bidder to accommodate both the specific requirements of our business and the constraints of a soft real-time application while quickly iterating on new features was a big challenge. Over the course of more than two years, we have learned a number of lessons and techniques on designing, instrumenting and tuning Go applications and their underlying data stores for efficiency under real time conditions. We would like to share these in this talk. The smart energy sector is poised to deliver huge savings through efficiency improvements and ancillary services such as Open Energi’s Dynamic Demand. 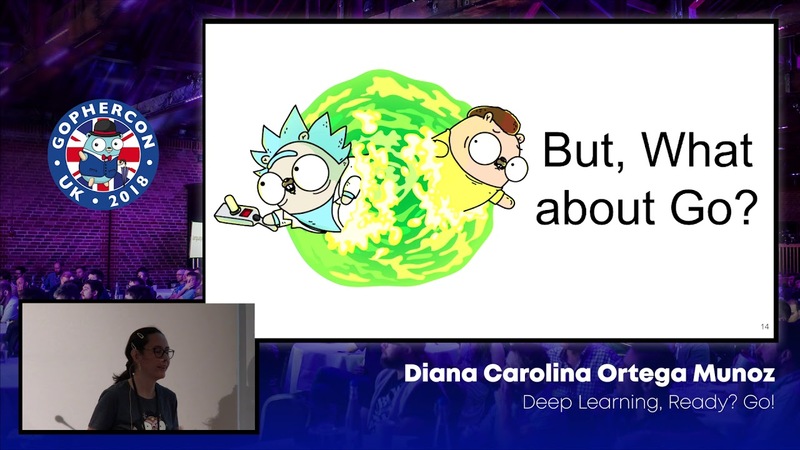 This talk, aimed at Go programmers who do not have much experience with Machine Learning (ML), will start by introducing common idioms used by well known machine learning frameworks like scikit-learn and Matlab’s ML Toolbox, and how they are mirrored in Go packages like Goml and Go Learn. I’ll also briefly explain how one can use Storm multilang or os/exec to assemble a polyglot ML solution without requiring a data scientist to make (many) changes to their model code. 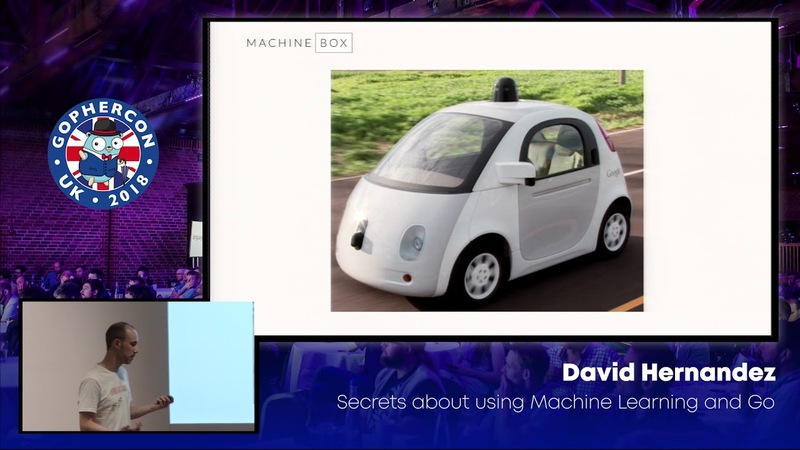 The second half of the talk will explain how we’ve leveraged Go primitives and cloud-based services to deliver scalable real-time machine learning services written entirely in Go with low cognitive overhead for both data scientists and developers. Microbenchmarks are all fine and good, but the first step from benchmarking one function and understanding the performance of a complex application in production is a doozie. 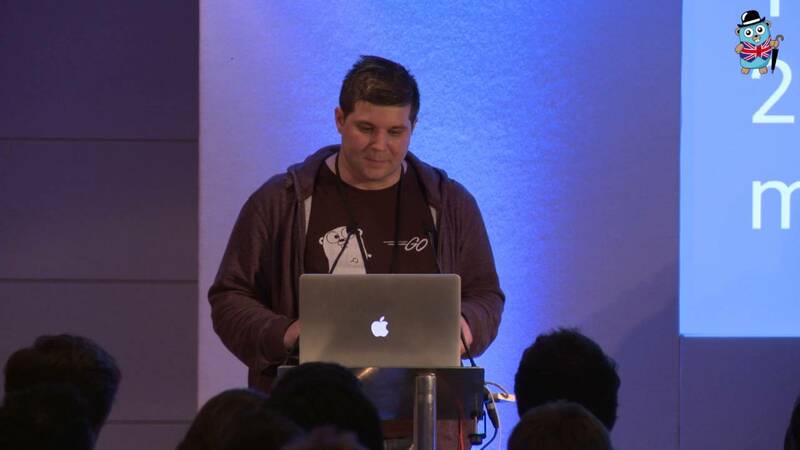 This talk will cover seven different ways to profile a running Go application. We’ll discuss the strengths and weaknesses of various approaches, and highlight some new options available in Go 1.7. We’re moving towards a world of infinite compute with the public cloud but leveraging it still proves to be difficult. Containers are naturally guiding us towards developing distributed systems but the tools to help build them are still formulating. Micro looks to solve these problems by providing the fundamental building blocks for building and managing microservices. 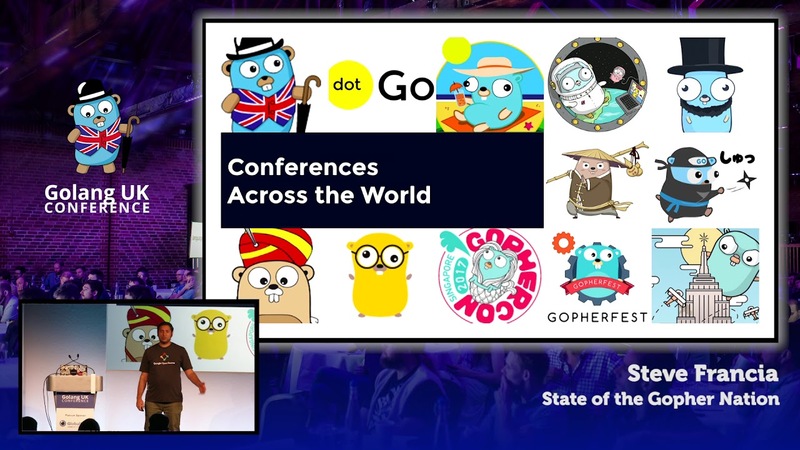 David is a software engineer, author, blogger, and speaker from Sydney, Australia as well as a long time contributor to the Go project, focussing on performance and the application of Go to small computers. David also runs the Sydney Go Users’ group. 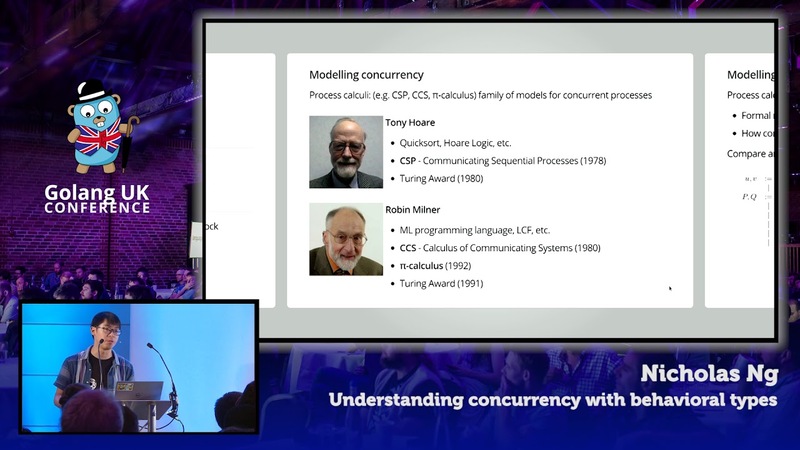 Go’s concurrency features differ from mainstream programming languages in that they are based on the high-level and formal model of CSP (or process calculi) by Tony Hoare in 1978. Over the years, a large body of research work was developed for understanding concurrency based on process calculi, but rarely applied directly in programming langauges. 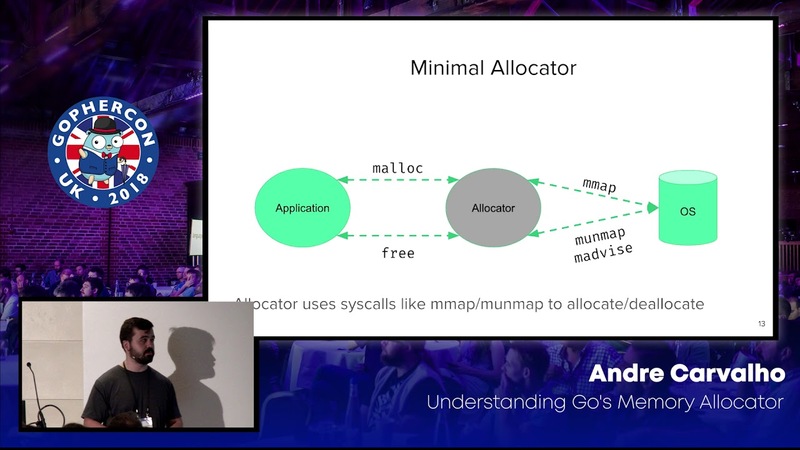 I will talk about a static analyser we developed for detecting deadlocks in Go, inspired by a research area which gives “types” to process calculi. In a nutshell, the tool infers “types” for communication between goroutines from Go source code, then construct a bird’s eye view of all communication (also called choreography or global graph) possible at runtime, through which deadlocks and communication problems are discovered. 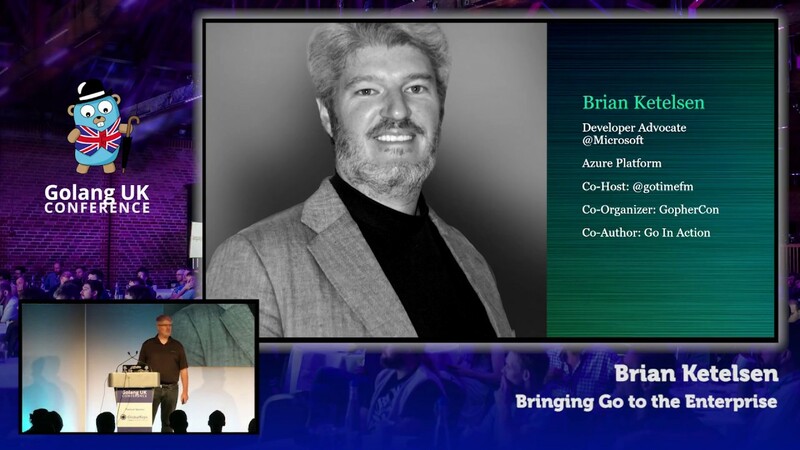 This talk will focus on the work-in-progress aspects of the tool. No knowledge of CSP/process calculi are needed but some understanding of concurrency in Go and static analysis concepts are expected. The term “microservices” has been around for a while now. We’ve seen a lot of information on why you should adopt this type of architecture, but no one tells you why you shouldn’t. 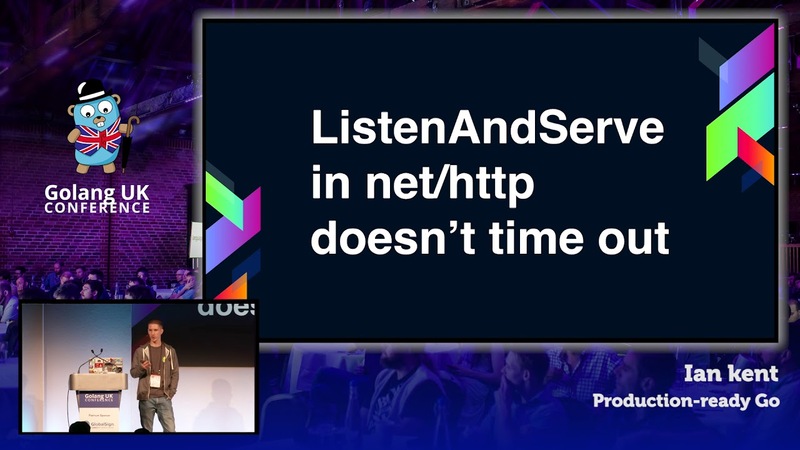 This talk won’t do that either, but we’ll go over some of the issues and traps that microservices bring with it. We’ll look at what kind of tools you need to get a system like this up and running. What kind of decisions do you have to take to roll out a system like this? How do you communicate between services? 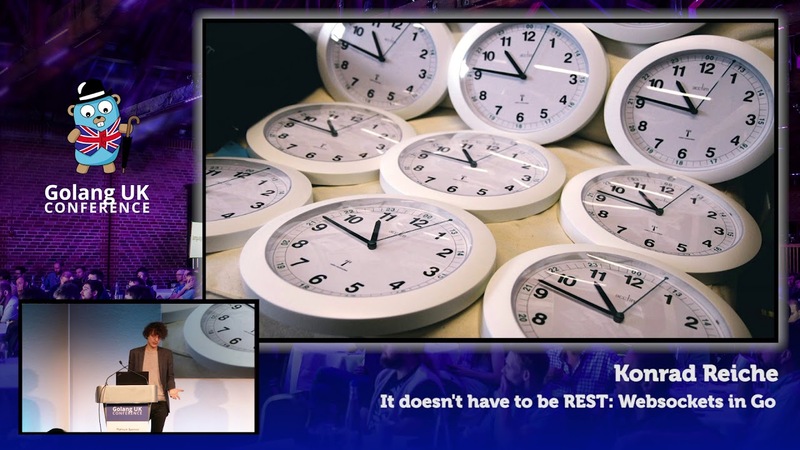 REST or RPC? XML or JSON? What framework do we use? micro or go-kit? Where do we store our metrics? How do we create new services? How do we develop these newly created services and communicate with existing services? These are all decisions a team can get hung up on and spend a lot of time on. This talk aims to help in the decision making and give some insights in our decisions. Besides the tools and decisions, we’ll also look at the extra complexity this system brings with it. How do you debug multiple services? How do you keep track of all these services? 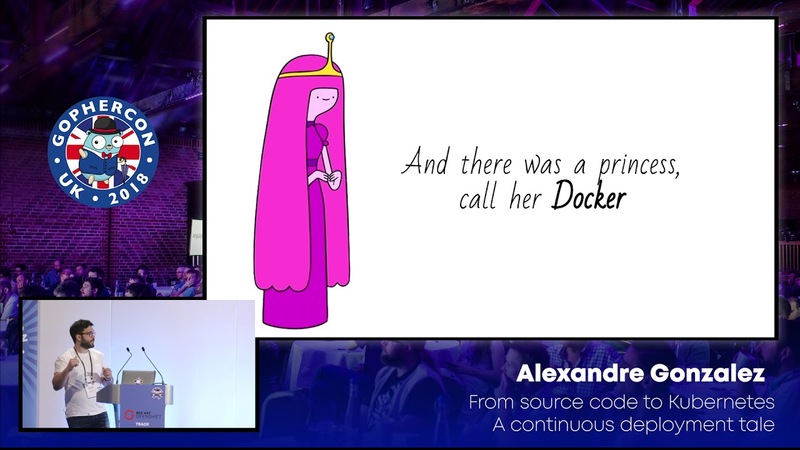 Everyone has heard of Docker, but what is a container? Is it really “a lightweight VM”? 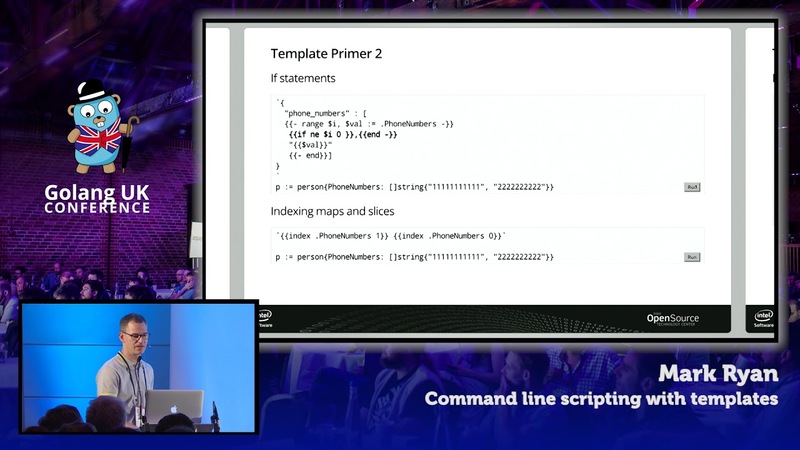 In this talk we’ll dispel the magic by writing a container in about 100 lines of Go. 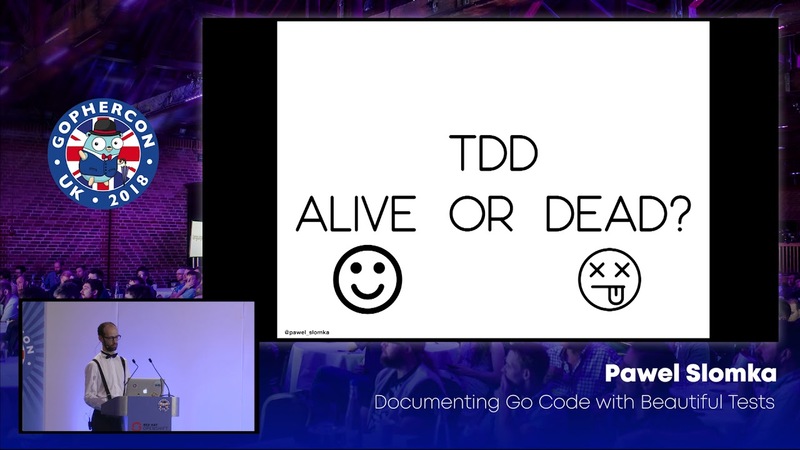 Idiomatic Go code is composable and easy to understand, greatly improving the experience of writing new code and contributing to unfamiliar code bases. 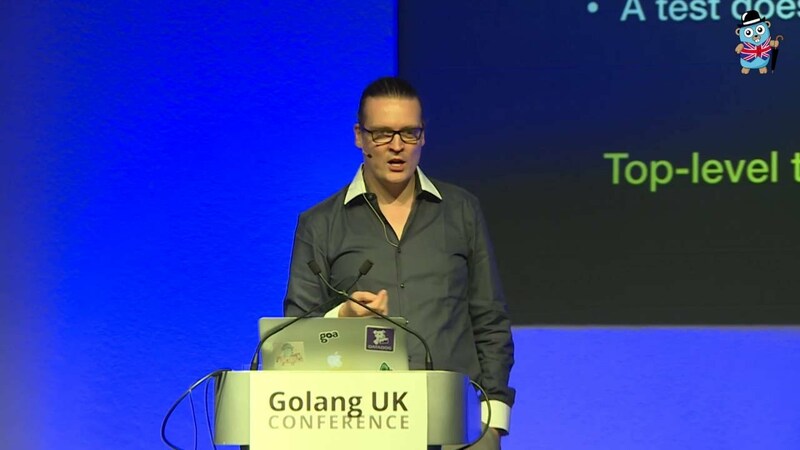 This allows Go to compete as a language suitable for myriad tasks. When using Go as a low-level systems language, occasionally idioms come back to bite you. Idioms are generally great: they provide portability guarantees as well as a common baseline for programmers. However, these idioms sometimes break down when applied to scalable systems code. For example, we’re told not to use the “unsafe” package, instead, avoid performing “unsafe” memory operations. Similarly, don’t use “atomic, use “sync” instead. In essence, “Don’t be clever.” In some cases, following these idioms to the letter becomes a real bottleneck. 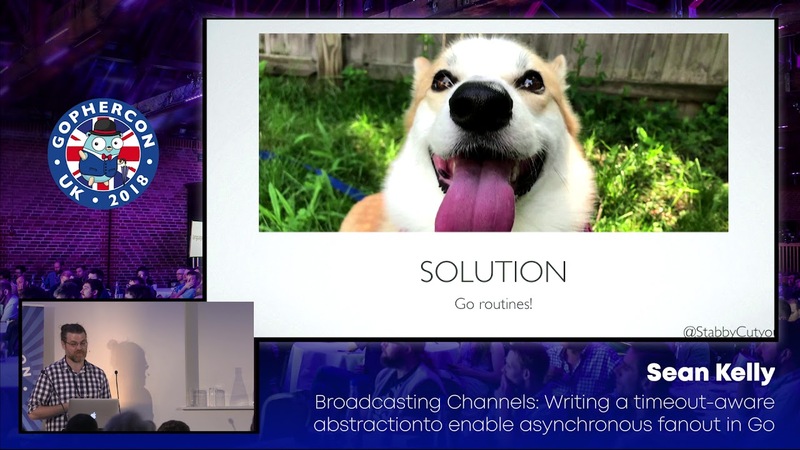 In this talk, we’ll explore how eschewing some of these idioms leads us to predictable latency and in some cases drastically improved throughput. We can use low level, “unsafe” primitives correctly through careful coding. 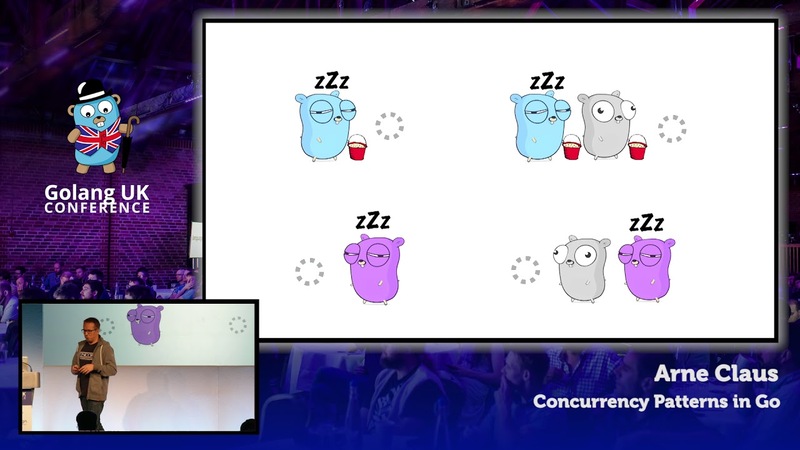 We’ll look at how to do this without sacrificing too much in terms of composability, comparing several concurrent communication patterns in Go to non-idiomatic counterparts in the context of a messaging platform. 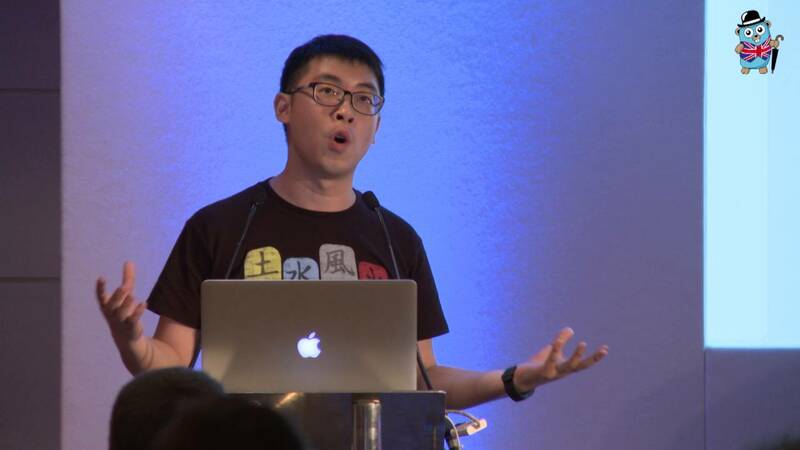 This talk discusses HashiCorp’s journey with Go from its infancy to the mature, production-ready language it has become today. 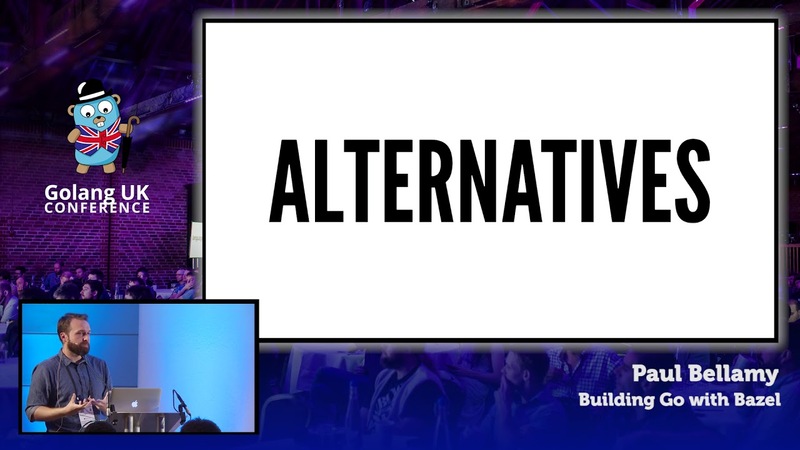 We will discuss the decision-making process which ultimately landed on Go, the benefits we’ve gotten out of the standard library, the limitations we’ve hit along the way. 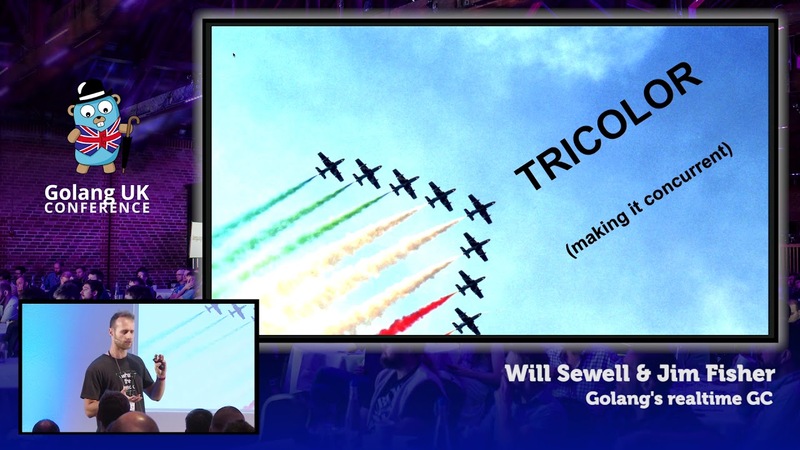 In this talk I’ll share my unique experiences as a trainer and author bringing Go to enterprise companies. We’ll talk about what works well, what needs improvement, and what we can do as a community to foster Go adoption in more companies. 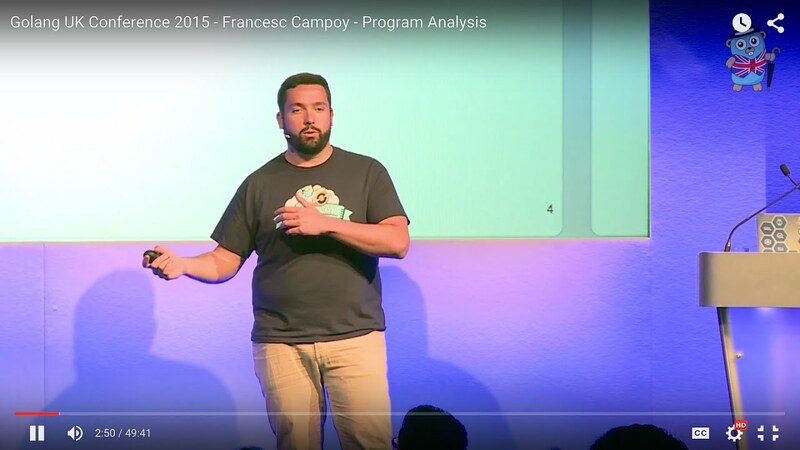 In 2016 I quit my job and set out to train the world on how to use Go and Kubernetes. 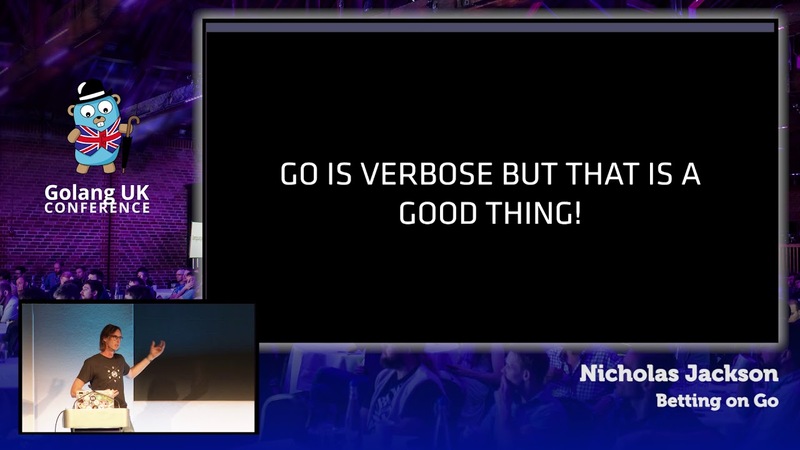 Over the course of the last 18 months I’ve learned a lot of things about Go, and I want to share them with you in this talk. 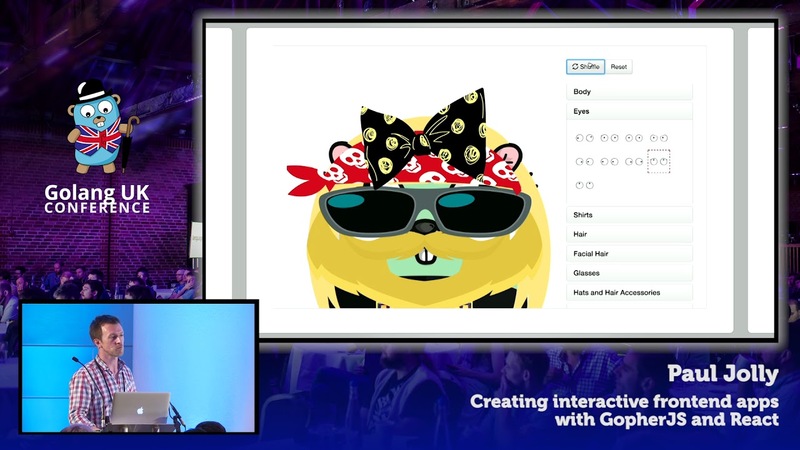 Put the fun back in writing Go web applications using the Buffalo framework. A Ruby on Rails inspired, idiomatic, web framework written in Go. Fun, Fast, and easy! 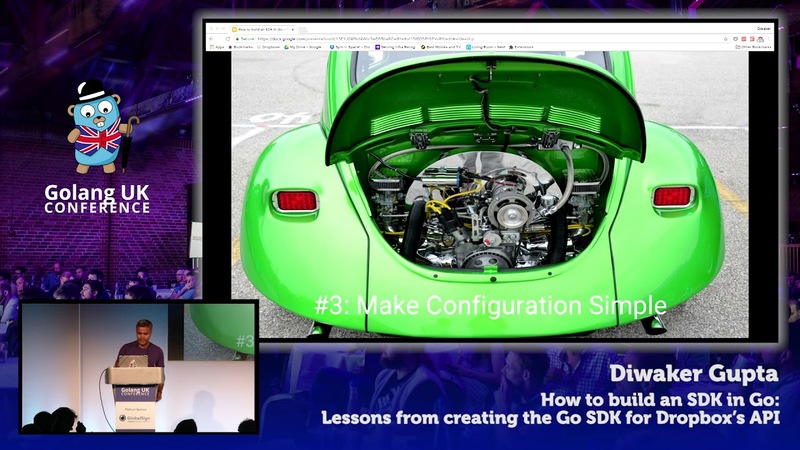 Learn how to define a RESTful API by writing a Swagger specification and using go-swagger to generate a go server skeleton and client package. 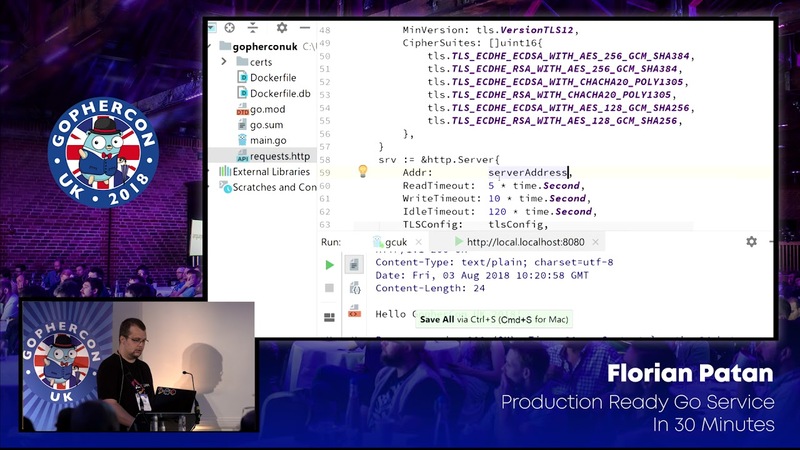 This talk focuses on developer productivity from inception to production, detailing the journey from the first line of code through to the production of a fully tested Docker image ready for deployment. Tired of Makefile hacks? Bazel offers fast, reproducible builds for software of any size. Why is it better than go build? 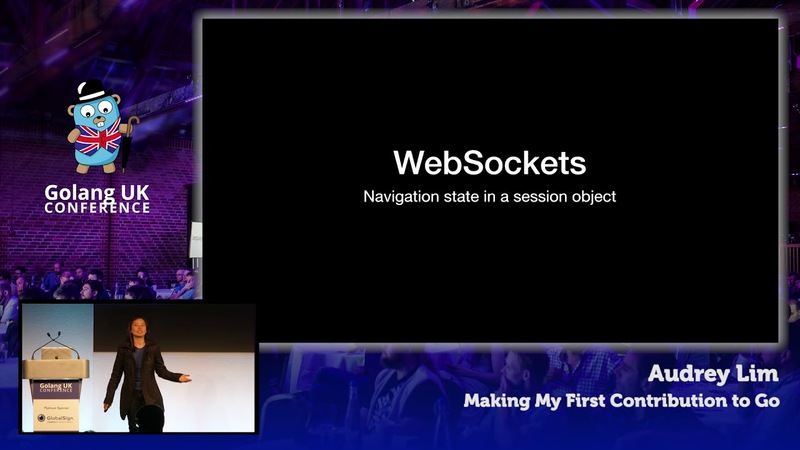 Bazel makes polyglot projects easy, has remote build workers, and shared caching. 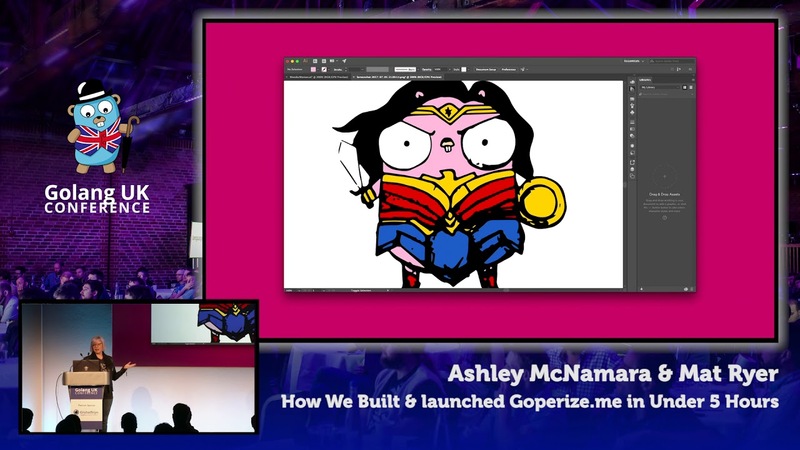 Get started building Go projects, learn key concepts, and get ready to turbocharge your build. 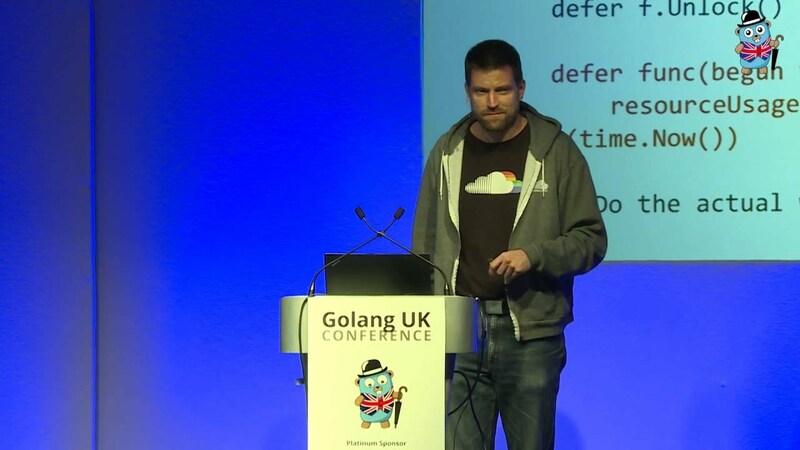 Go’s template language is often used to enable scripting in command line tools. In practice, however, it can be difficult to take advantage of these scripting capabilities. 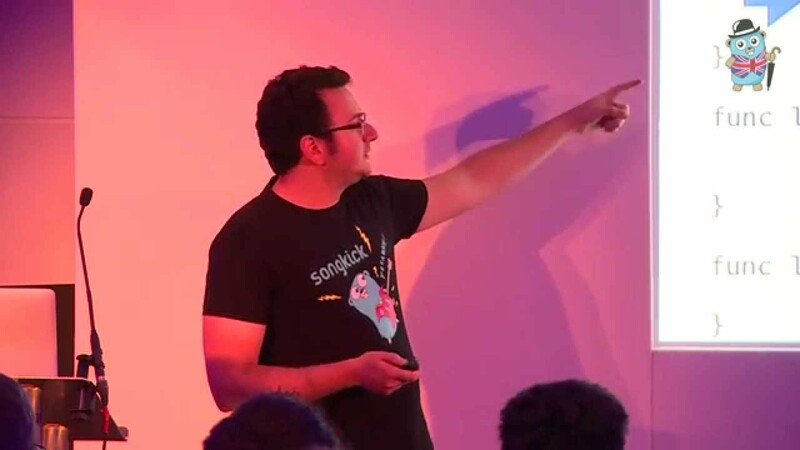 This talk will explore why this is, propose some best practices and describe a new package designed to make scripting easier. 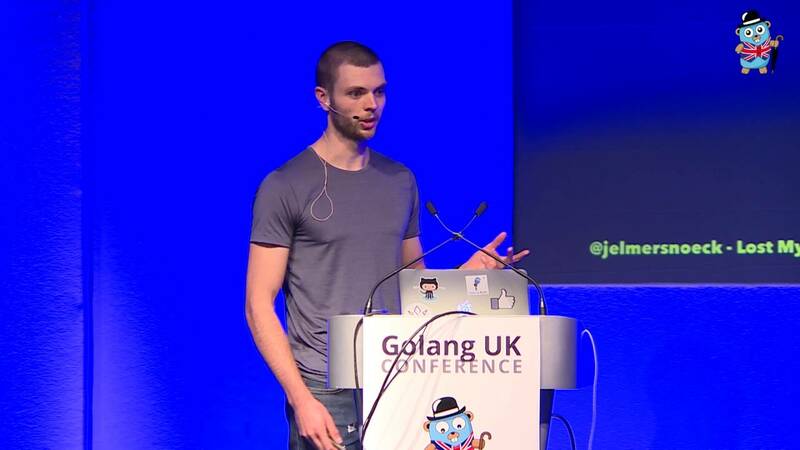 We all know that go comes with great concurrency tools like go routines and channels. But is this really everything? 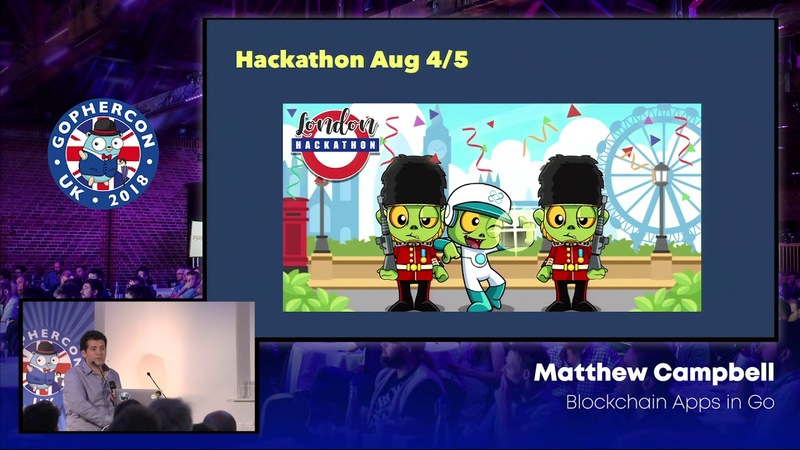 This session starts with an overview of common concurrency patterns and ends with best practices on lockless programming that won’t let your head explode. You’ve heard about self-driving cars, self-organizing drone swarms, conversational interfaces, and emotion recognition. 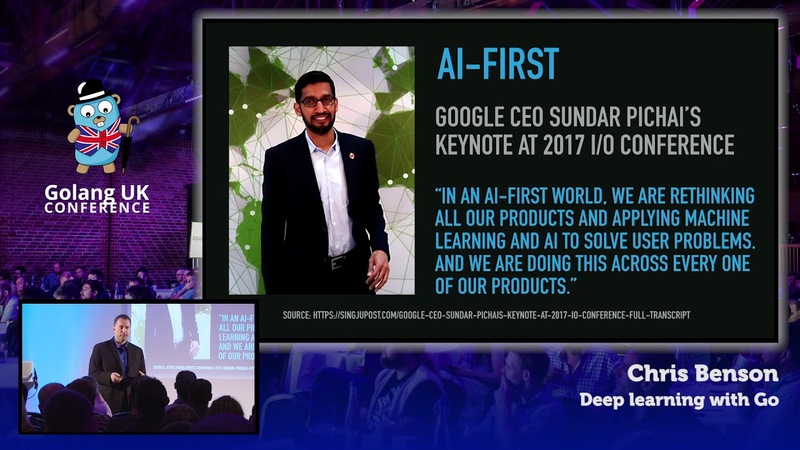 That’s all ‘deep learning’ - a powerful AI taking the world by storm! 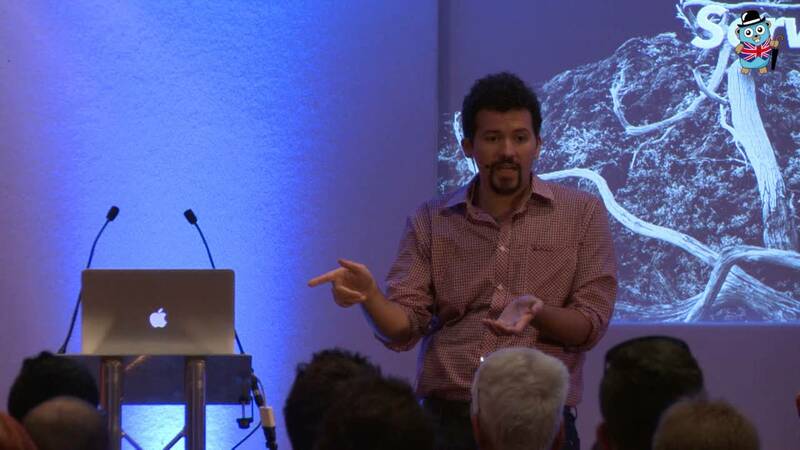 In my talk, I’ll show you how to build ‘deep learning’ models with Go to solve complex real-world challenges. When we talk about a ‘fast’ service we often don’t mean one that can process 500MB/s per core, but one that can respond in less than 5ms. 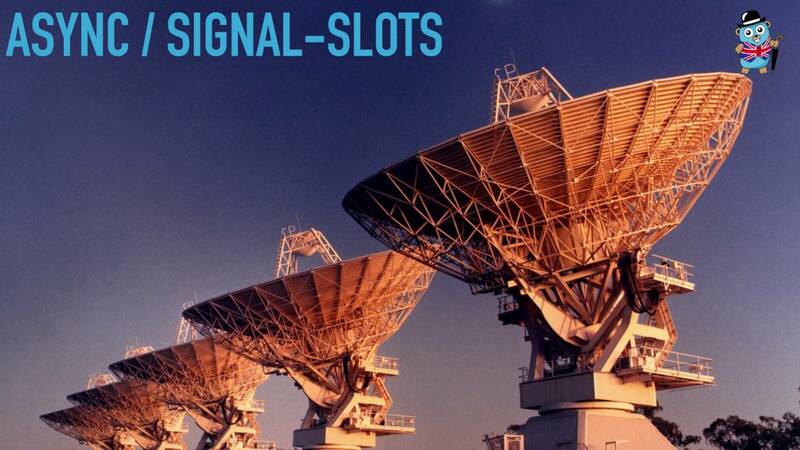 However, many causes of latency are invisible to network operations, disk reads, locks, channels, scheduling. Let’s see how to use the new tracer to profile them. Go routines can become the star or the bottleneck of your application. Learn how to select the best approach for reaching efficient concurrency by analyzing bottlenecks related to go-routines, comparing resource utilization, locks, queuing and sequential processing. 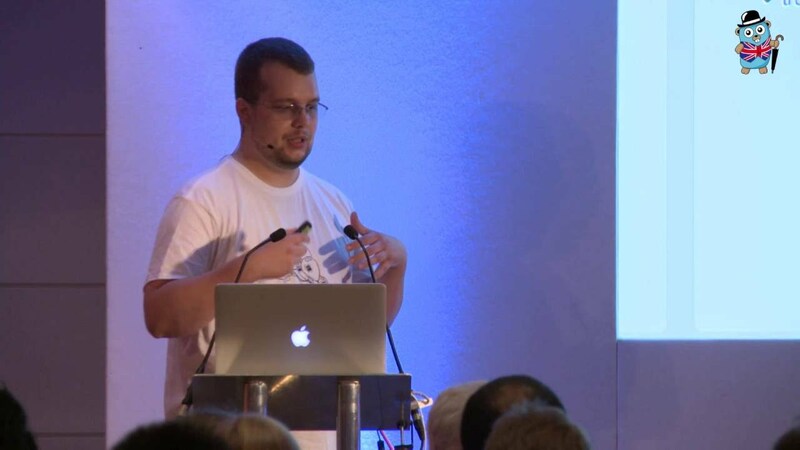 In this presentation Vlad Galu, VP of Engineering at GlobalSign, describes the experience of basing a greenfield project on Go, the build-up and the evolution of the team and GlobalSign’s next generation PKI platforms along with the wider ecosystem. Dropbox offers a well documented API with SDKs in 7 different languages including Python and Java, but not Go (which is used heavily within Dropbox). 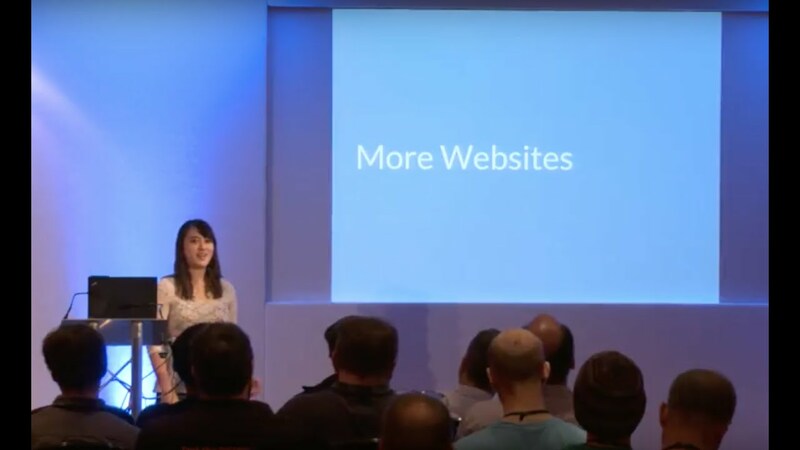 In this talk, I’ll share my experiences developing a Go SDK for Dropbox: lessons and best practices for building SDKs in Go. 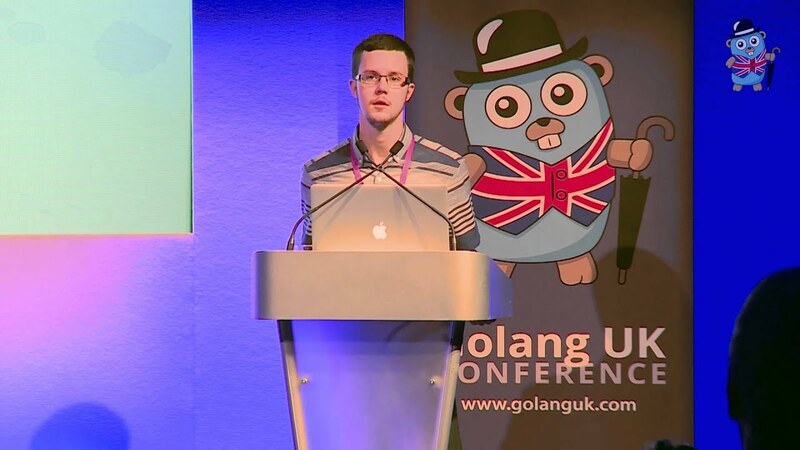 Go 1.7 introduced package context to the standard library. Using context is a very powerful way to orchestrate go routine cancellation and debugging information during a request. 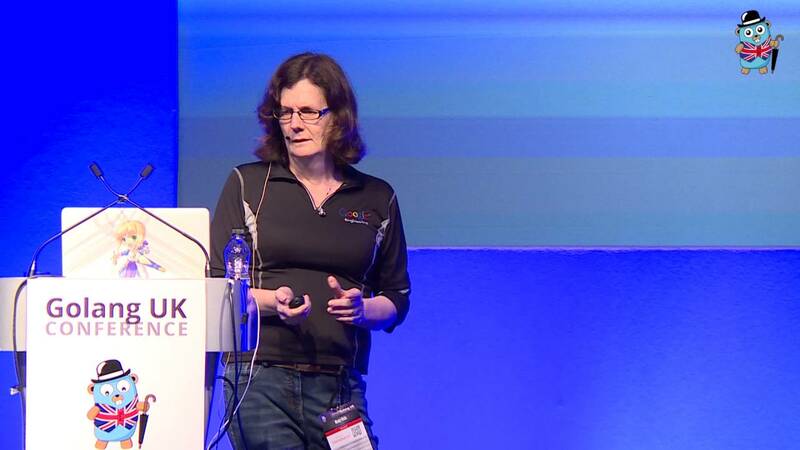 This talk lays the foundation of best practice around how to use this package. Want to contribute to Go but don’t know how? Neither did I when I hacked a solution for the Go Presenter Tool. 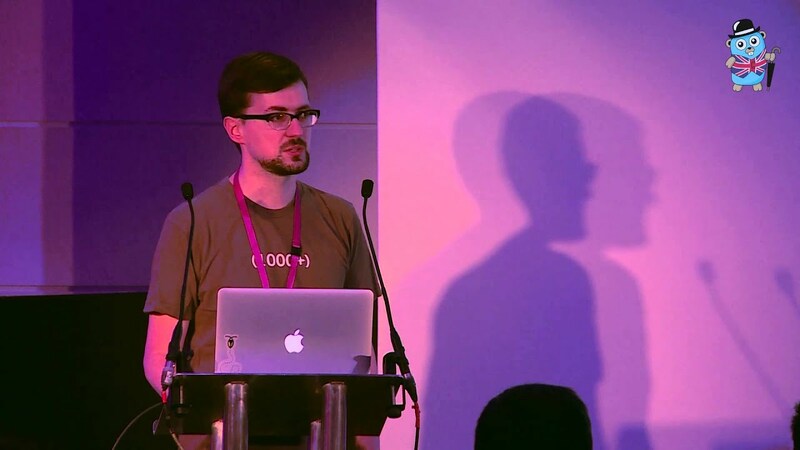 Learn about my motivations, how I approached the problem with a beginner’s mind, figured out Gerrit, how it’s like having my code reviewed by the Go team, and how I finally got it merged. When you’re new to Go, it’s easy to build and deploy production systems quickly - and learn the hard way what ‘production ready’ means. This is a rundown of the things you really need to care about. 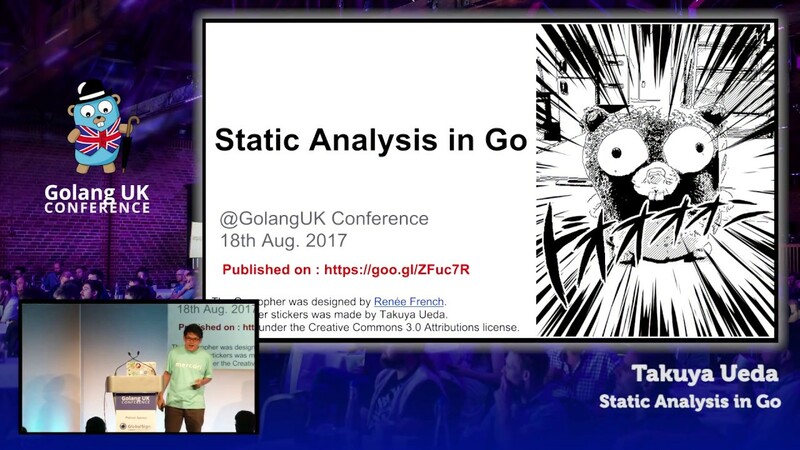 Tools like go package provide static analysis. This session shows step by step how to use it. 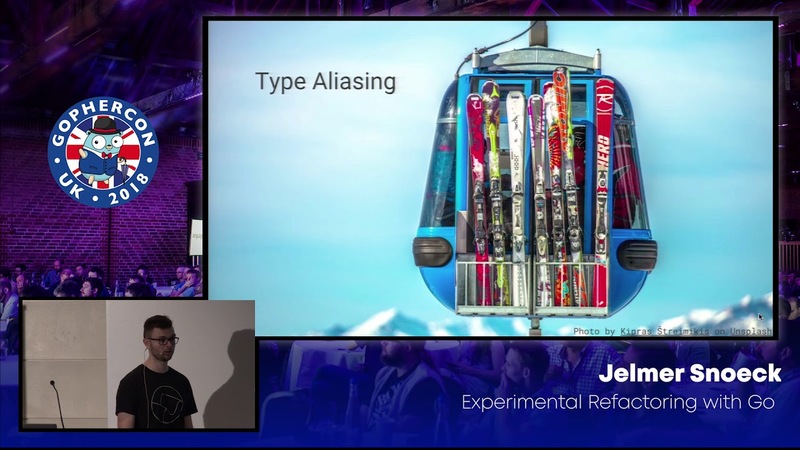 This session makes you that you can start to use static analysis for creating tools which are useful for your daily development, such as a linter and a refactoring tool which can be customized for your project. 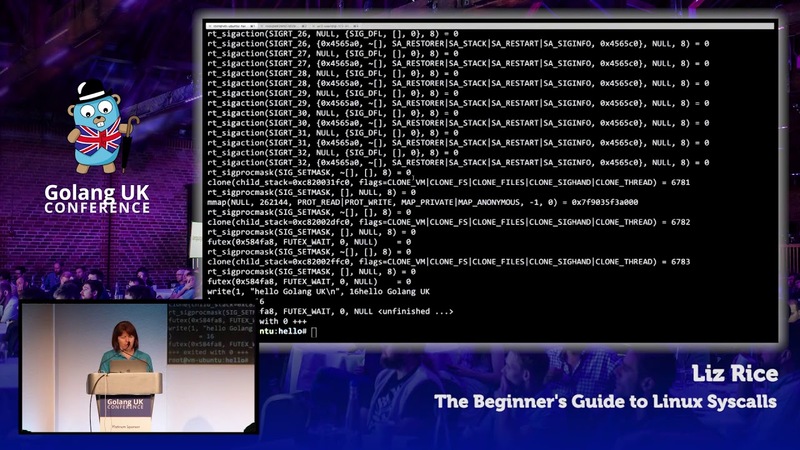 Don’t think you’ve ever made a syscall? Trust me, you have! 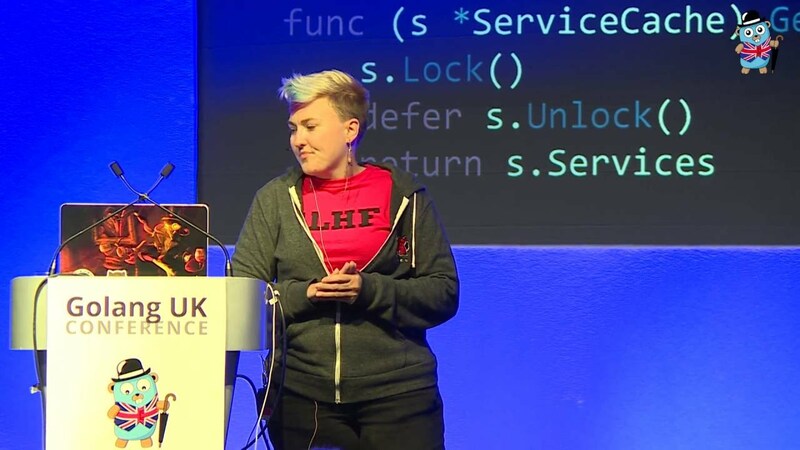 In this talk we’ll explore what syscalls are, how they work and what you can do with them, with a good measure of live-coding demos to keep things real. Like most programming languages, Go uses English keywords. 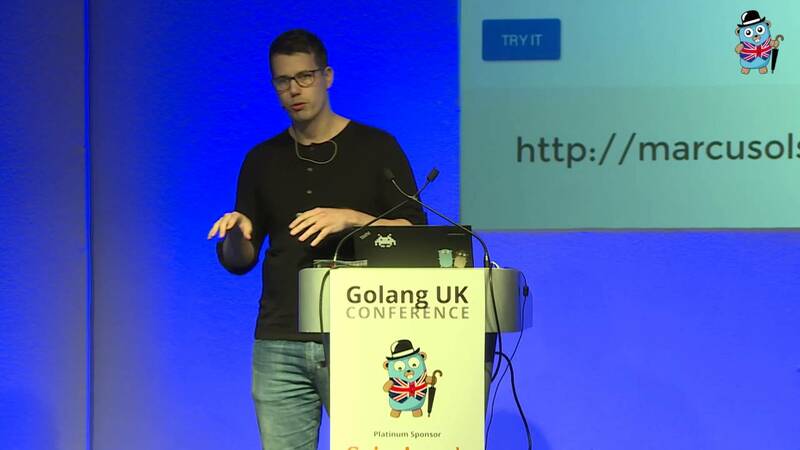 But Go’s unique approach to byte and string handling makes it the ideal candidate for a universal programming language that can be localized to allow English-speaking and non-English speaking developers to collaborate on the same projects. Concurrent programming is difficult. 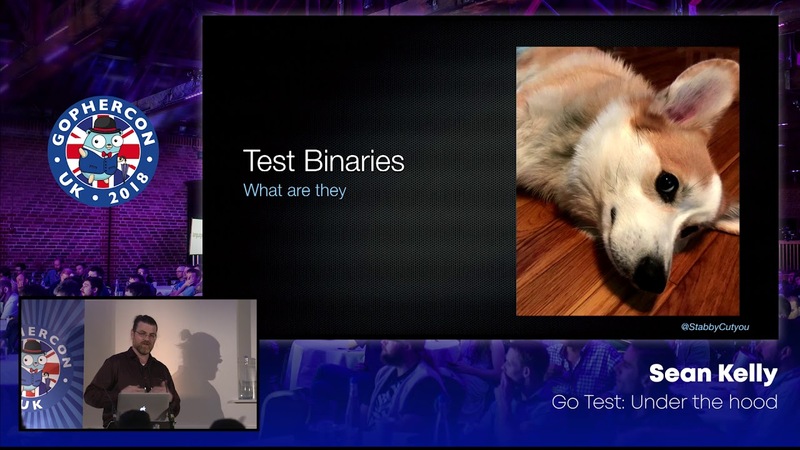 This talk is about applying programming languages & concurrency research, specifically behavioural types as an abstraction, to verify concurrent Go programs. 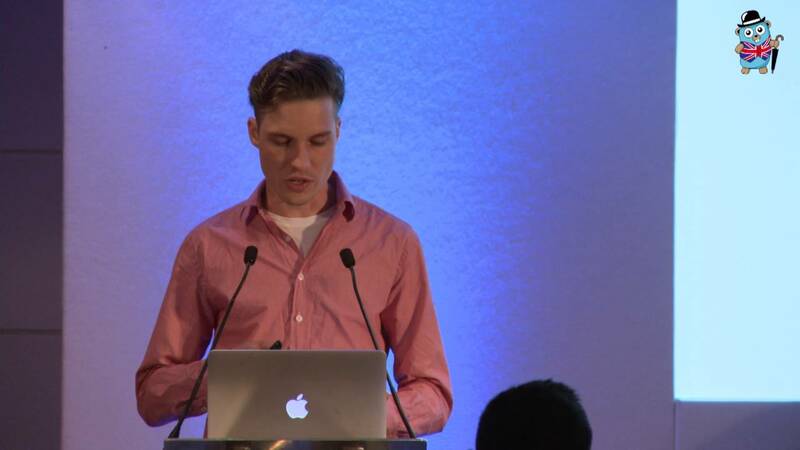 The talk covers what behavioural types are and how they can be used to reason in Go’s concurrency model. Whether for internal use, or destined for open-source stardom, writing good packages with clean and clear APIs will greatly increase the chance that the code is used and reused. 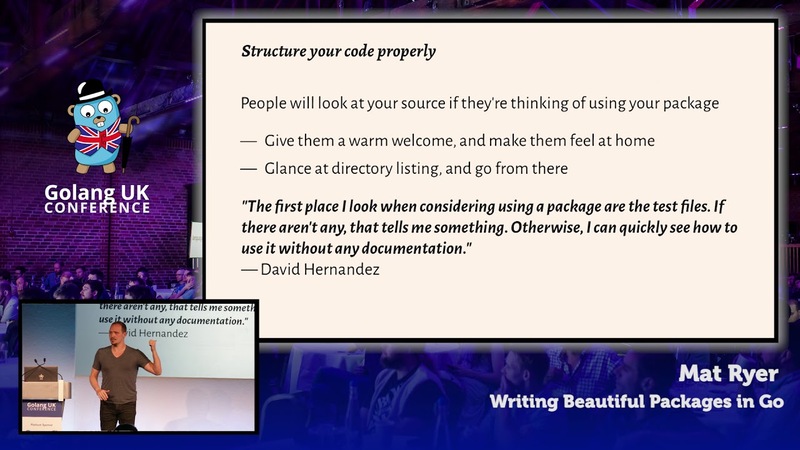 Explore best practices, goals, and idioms that help make beautiful packages. Hi, my name is Amy! By day, I’m a systems software engineer and work in the fabulous world of distributed systems. However, outside of writing code, I also care a lot about making YouTube videos on my channel Amy Codes! The channel enables me to carve out a space online and craft my voice into a personal brand. 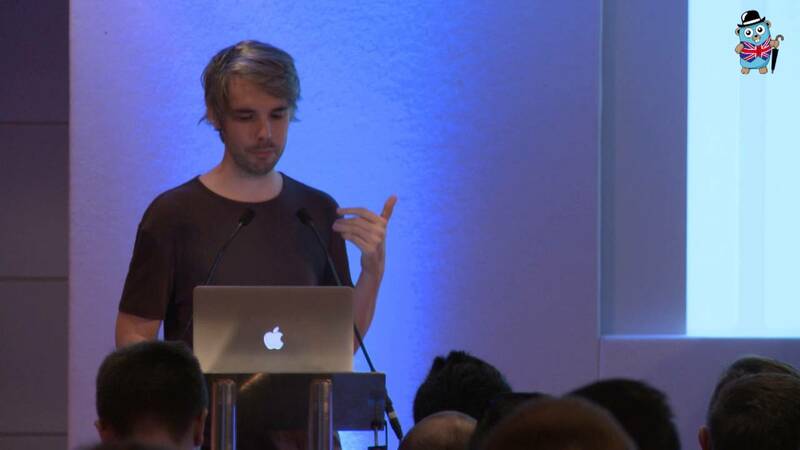 What inspired to make YouTube videos? What is entailed in crafting a distinctive personal brand? Why should software engineers care? How has building a personal brand been effective in empowering other people? I hope to provide you actionable advice to apply into your own career. Having a microservices architecture, the challenge comes with setting up a testing framework. Sometimes the structure of the project allows only unit tests and end-to-end and acceptance tests. 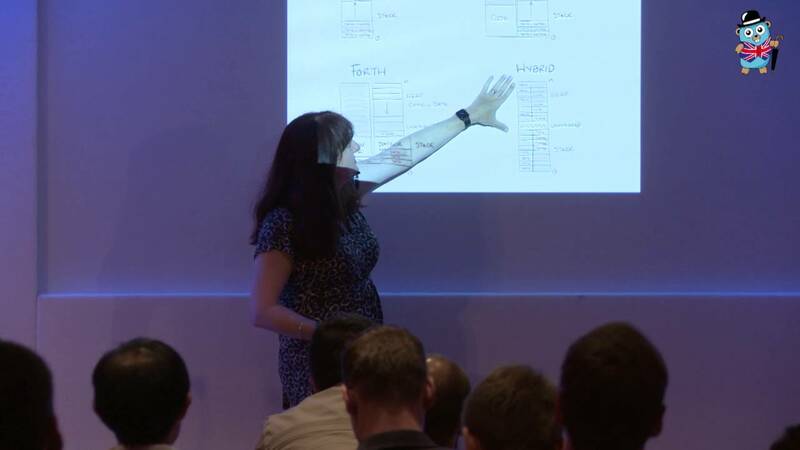 This talk will explore different options that would allow accommodating different types of tests; unit, component, integration and end-to-end tests. GoPro: More Concurrent than Parallel! Complex systems call for better controllability over various design parameters (data and control widths, on-/off- chip memory, topology etc.). 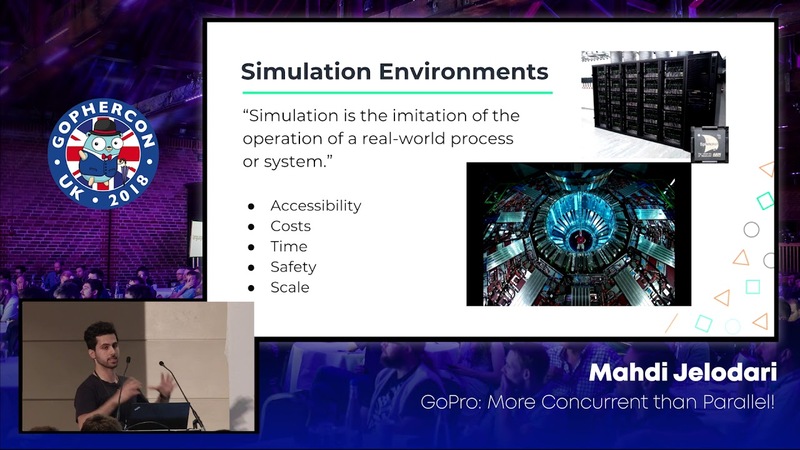 Unlike software based simulations, rapid FPGA-accelerated prototyping (using GoPro) will allow faster simulation and exploration of large scale systems. ONS needed to take obtuse datasets and publish them in a searchable way - so citizens can start to make sense of statistics the affect them. 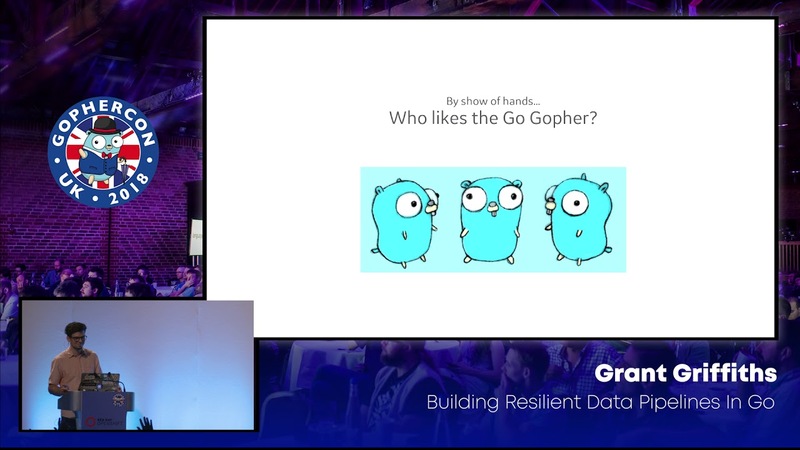 Using Go we’ve rebuilt how data gets prepared, a pipeline for custom queries and extended our go-ns library - learning more about the practical sides of Go. Bleve, an open-source full-text search library for Go, has moved beyond the general-purpose key/value store and now implements its own custom binary index format named Scorch. 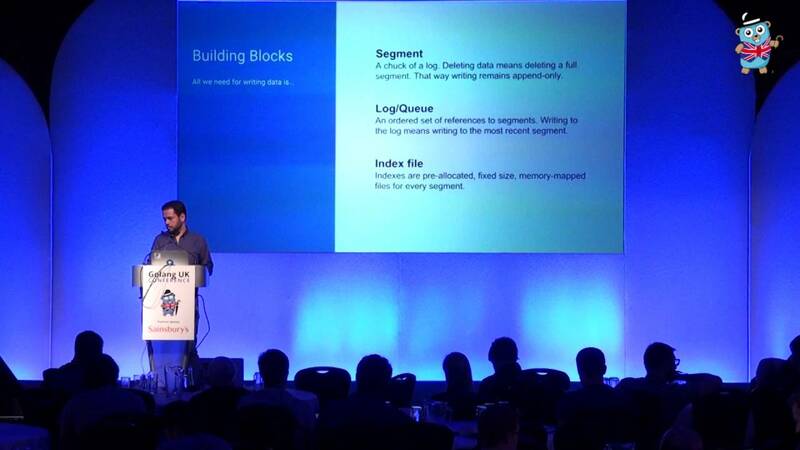 Learn about the data-structures and Go libraries we’ve chosen to build this solution. 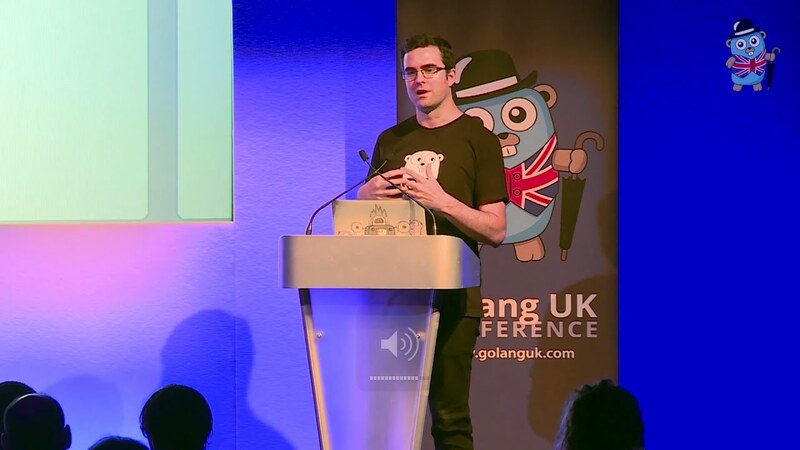 The Go community is definitely the best feature of the language, but how may we engage with it and become more than just a bystander on the crowd? 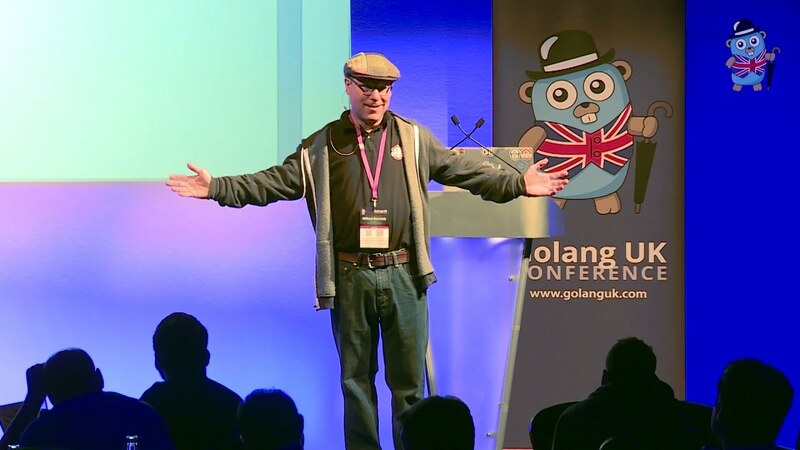 How do we contribute to the Go language OSS? Too much for you? What about a community built library? Contributing with code is too scary? What about building samples and documenting? Maybe you are a local leader and you can start a meetup, or join an active one… Do you like to write? Record videos? Literally the options are endless, so I want to explore some of those while sharing my personal experiences with the hopes of inspiring other people to engage with the community as well.